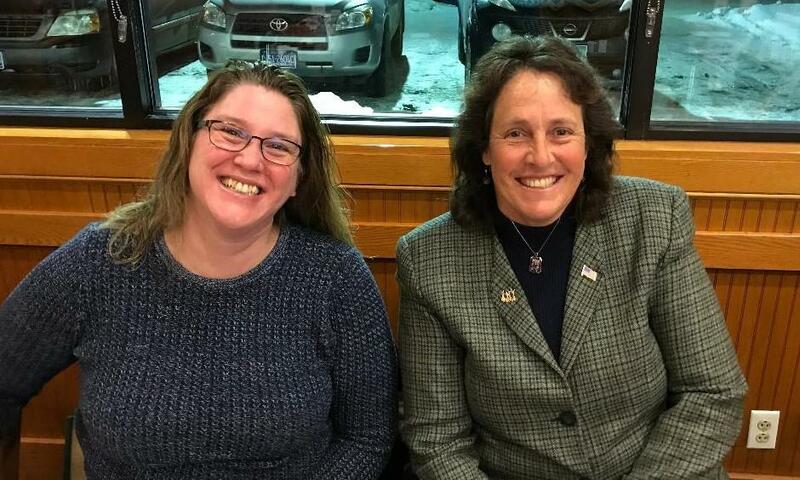 Guest speaker at our meeting of March 12, 2019, was Jen Dalrymple, Director of Montana Girls State. Girls State is sponsored by the American Legion Auxilary. ALA Girls State is the premier program for teaching young women about the democratic process and how our republic works at the state and national levels. As a MT participant, the girls are assigned to fictional cities named after gem stones in Montana whereupon they embark in the full democratic process of seeking office, holding elections and making/enforcing laws. It is a unique and exciting government-in-action learning program. This year’s ALA Girls State Program will be held on the campus of Carroll College in Helena from Sunday June 9 through Saturday June 15, 2019. Applications will be accepted January 1, 2019 until April 30, 2019. A great program educating youth about how American government works! Helena Sunrise member, Gary Williams, recently spoke to the Rotary Club of Hobart, Tasmania in February, 2019. Gary and wife, Lynne are touring Tasmania after hosting Rotary Exchange members from Tasmania in two years ago. We look forward to a program from Gary upon Lynne's and his return! 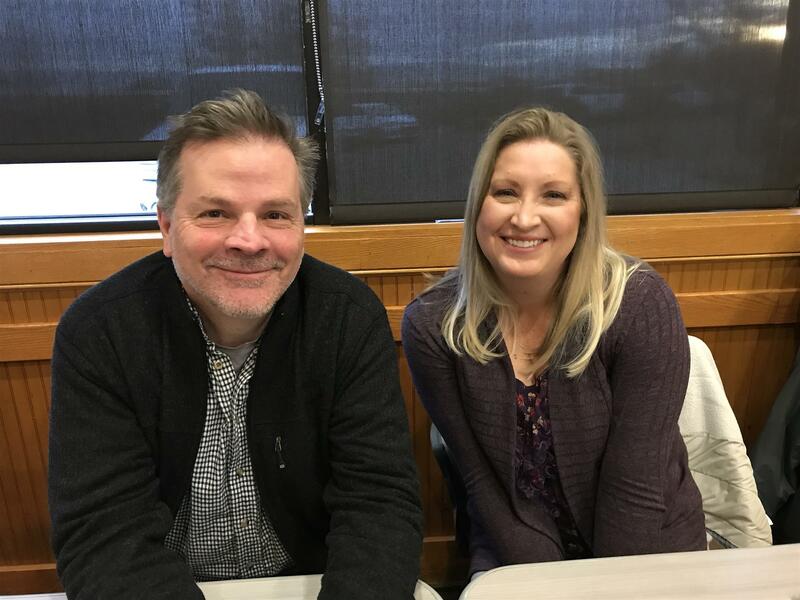 Jenny Eck, Executive Director of the Helena Friendship Center (right, pictured with club President-Elect, Murray Strong) gave the club an update on the FC's activities and its impact on the lives of individuals and families suffering domestic violence and safety issues. Usage of the Friendship Center's services continues to grow, unfortunately, and several cases per month must be turned away and referred to alternative, temporary solutions. 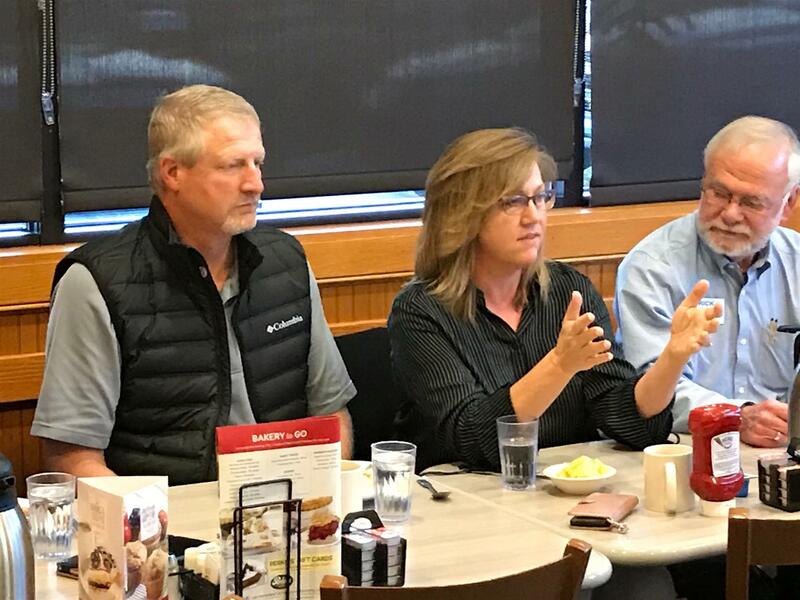 A change in FC's planning for 2019 is the decision to not hold an Empty Bowls fundraising event, which Sunrise Rotary has assisted with for the past few years. Empty Bowls is being evaluated for the significant amount of work required of limited staff (who are needed to provide program services) to put on this fundraiser. Jaymie Shaldahl (left) and Erica Vallance (center) of the Helena Head Start Program are shown here with club member, Gary Carlson. 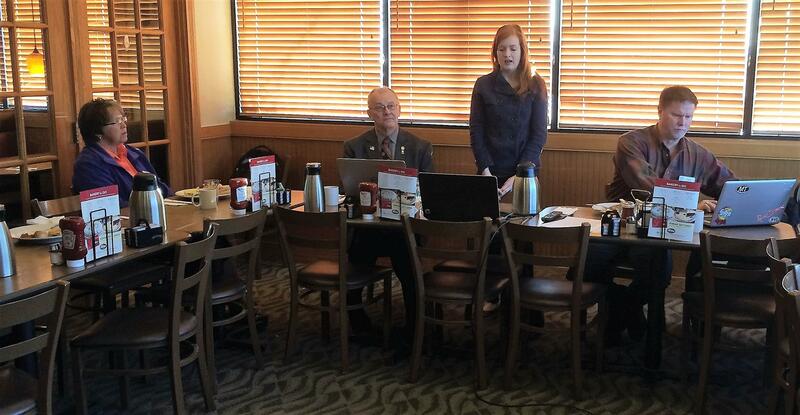 Jaymie and Erica gave the club background and update on Head Start's impact on Helena and surrounding communities. Finding endless opportunities for funding, Head Start will be our Trivia fund-raising partner this coming Thursday, January 17, 6:00 PM at the Staggering Ox Restaurant. Jaymie and Erica have created expanded posters and have explored options to maximize the amount of funds that may be raised on Thursday. Head Start is a wonderful Sunrise Rotary partner!! 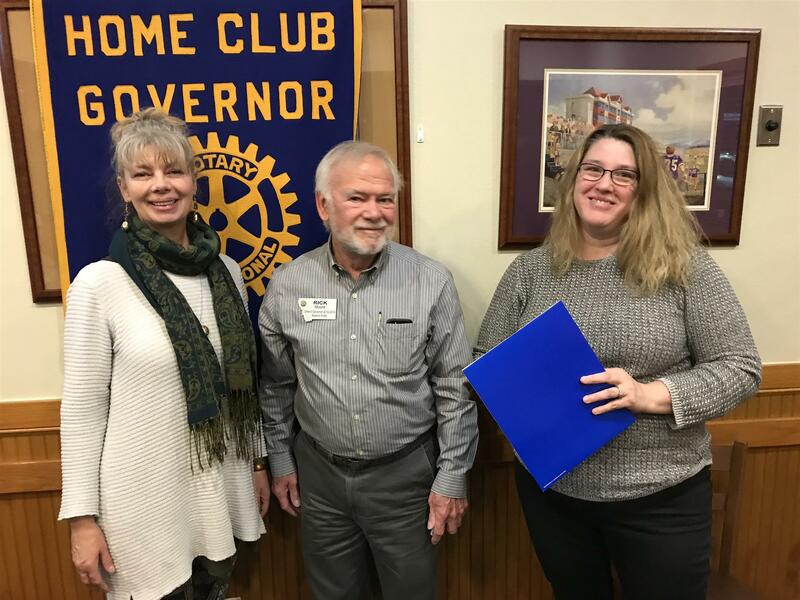 Michele Steele (left) is officially welcomed as member of The Rotary Club of Helena, Sunrise, by District Governor, Rick Moore and Sunrise President, Michelle Vanisko. Michele brings a rich history in Rotary having been a member of the Rotary Club of Helena (the "noon" club), including service as Past President. Work scheduling makes Sunrise an option for Michele to continue her Rotary service. Welcome, Michele!! Guest Pat Seiler (shown here with club member, Russ Cargo) presented a very informative and entertaining program on "The History of Luggage." Pat led us through the evolution of the bags we all use for travel, pointing out that we put a man on the moon in 1969, but did not put wheels on suitcases until 1972! Thanks, Pat! 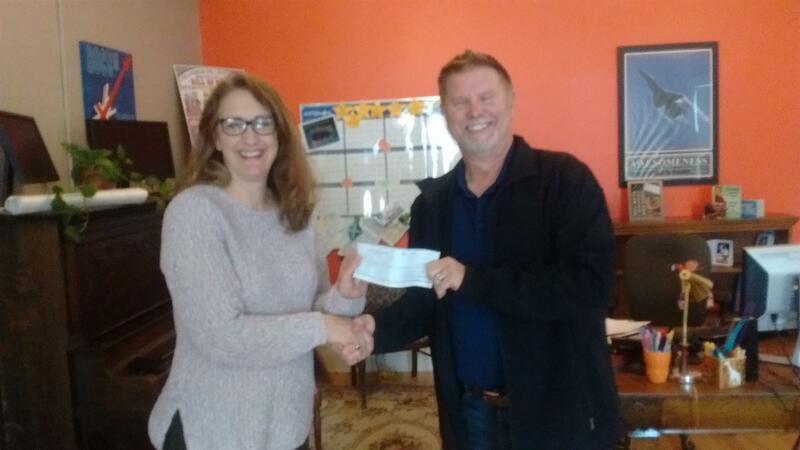 Gary Williams presents a check to Monica Lindeen, Executive Director of the Helena YWCA (and Sunrise Rotary Club member) representing proceeds from a successful Trivia night partnership between the "Y" and Sunrise Rotary. Deb Halliday, board chair for the Holter Museum of Art, spoke to the club on Tuesday, December 11, 2018, about current and upcoming events at the museum. Helena is truly fortunate to have an art center of the Holter's caliber and it was a pleasure to hear Deb's positive presentation. Club members, Russ Cargo (left) and Tony Perpignano (not shown), are both Holter board members. 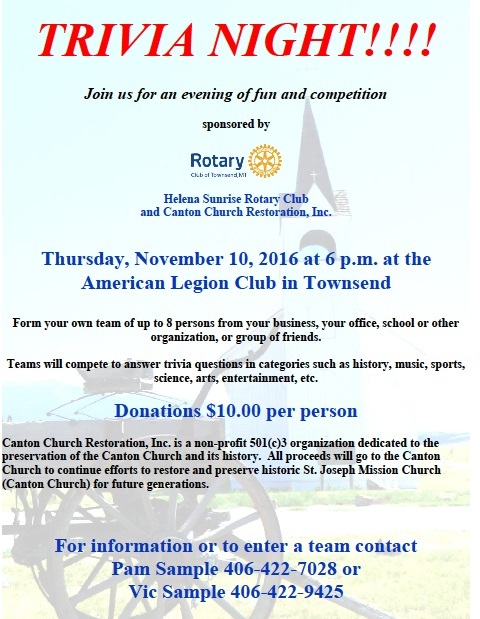 On November 29, another successful Trivia fundraising night was held in Townsend, MT in partnership with the Townsend Rotary Club. Over $1,400 was raised to help fund a Townsend Interact trip to Guatemala. Over 70 community members turned out to share the fun. Great job, Townsend and Sunrise members, Gary Williams, Greg Duncan, Rick Moore and Carol Wilcox! 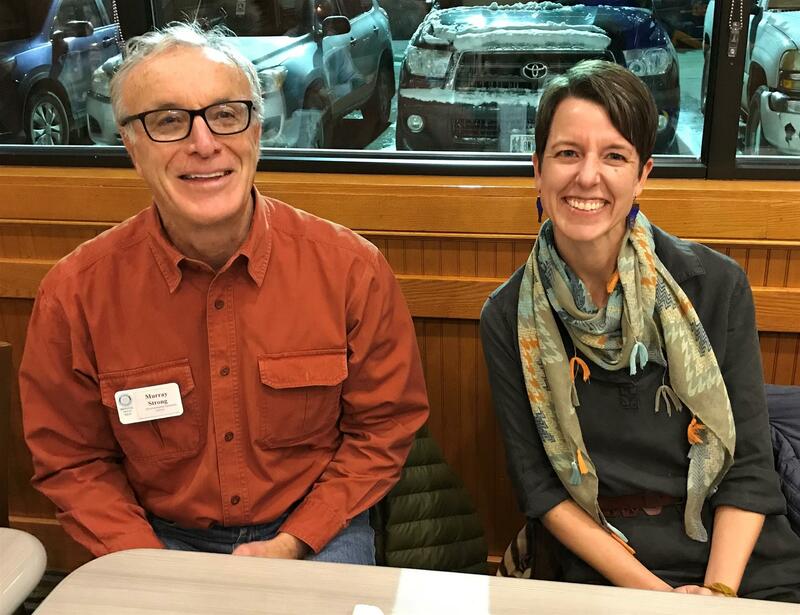 Kalli Kind, Director of Support Services for the Helena Public School system, pictured (R) with club member, Tony Perpignano, gave us an update of the construction and ongoing maintenance needs of the large physical infrastructure of our local school system at our meeting on November 27. Club member and President-Elect, Murray Strong presents a check to Mary DuVernay, Executive Director of the Lewis & Clark Literacy Council. 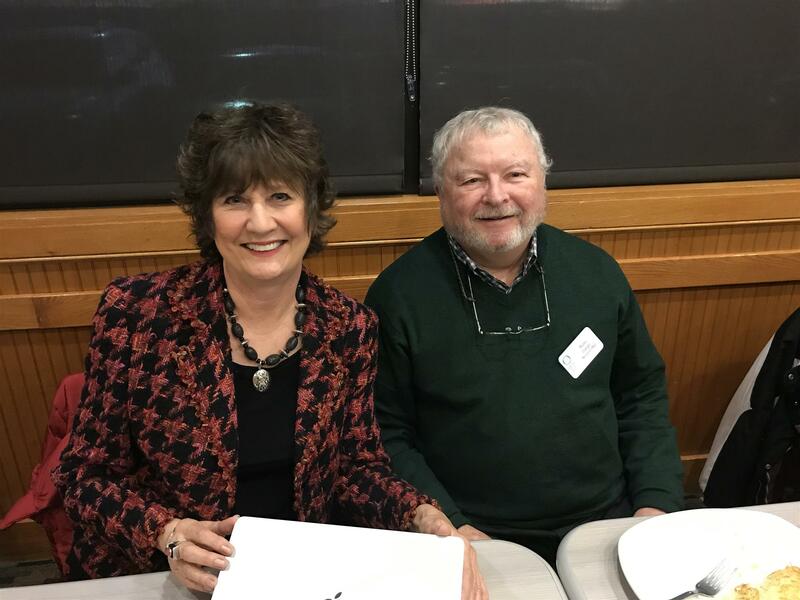 The Literacy Council is one of our Trivia Night fundraising partners and the check represents another successful and fun evening for both organizations. Club members, Dewey Bruce (top) and Gary Williams complete installation of book drops for the North Jefferson County Library on October 25, 2018. NJCL was a beneficiary of a Rotary District Grant and is near and dear to a number of club members who live in the immediate area. Thanks Dewey and Gary!! 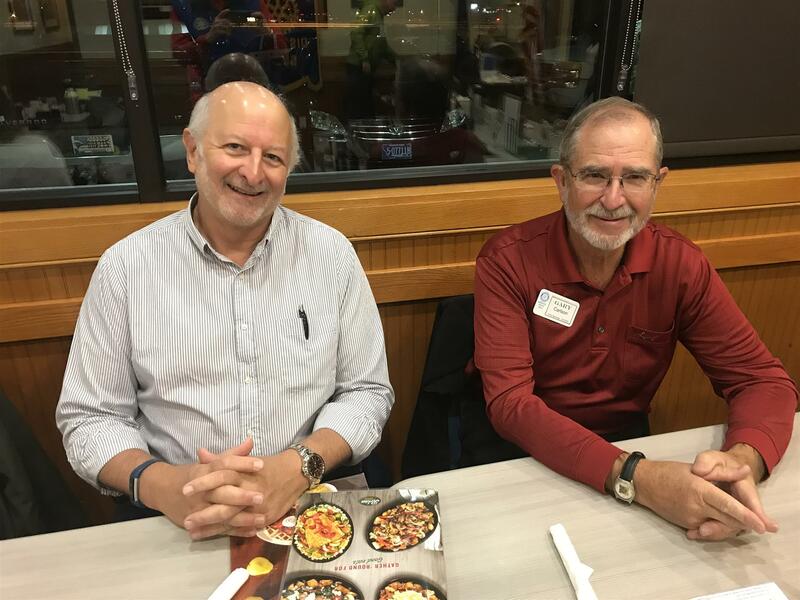 Ian Marquand, pictured (left) above with club member, Gary Carlson, spoke to us about Montana's Japanese sister state, Kumamoto Province, Japan. Ian was interesting and entertaining and provided a great update on trade relations and history with Japan. Our speaker on Tuesday, October 16, 2018, was Steve Garrison of Montana Joining Community Forces (joined in the above photo by club member, Carol Wilcock.) Montana JCF works with local service providers on local needs to determine available services for Veterans and their families. They then educate Veterans & their families of those services, and coordinate the services for those in need of them. MJCF is the Trivia fundraising partner for October. Speaker Kiley Gage and member Monica Lindeen presented program about the Helena YWCA at the Tuesday, August 21, 2018 meeting. 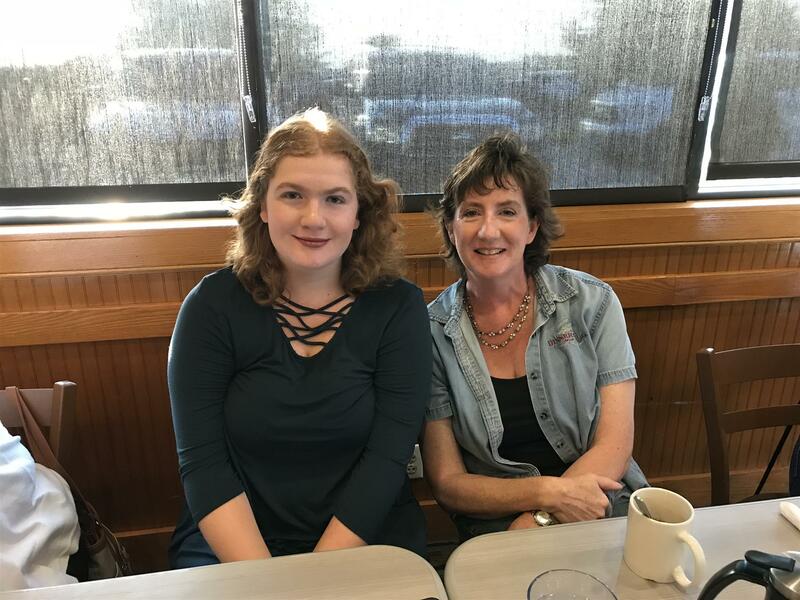 Erin Bohlman and her mother, Vickki attended our meeting on Tuesday, August 1. Erin spoke to us about her experiences at the recent RYLA camp, which in short was a great experience for her. In addition to speaking, Erin treated us to a wonderful rendition of a song she performed for talent-time at camp. 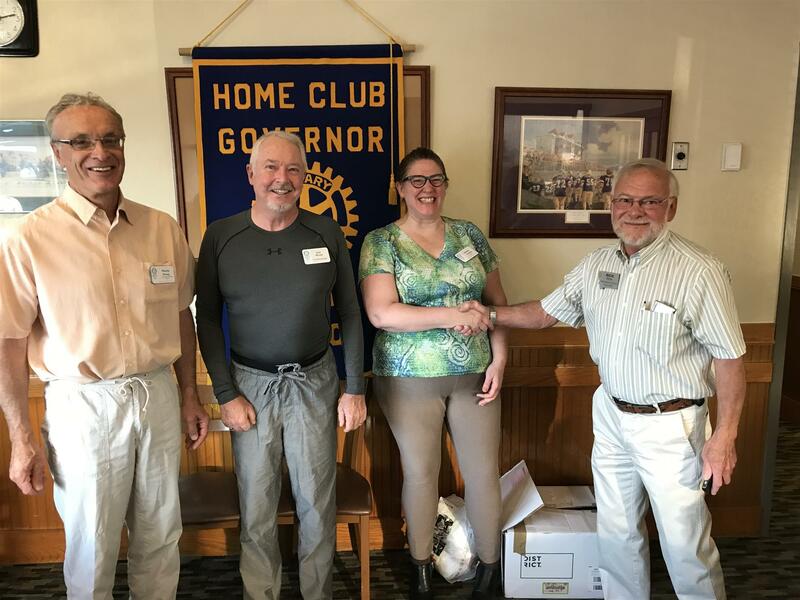 District Governor, Rick Moore, officially inducts Peter and Debbie Italiano as the newest members of Helena Sunrise Rotary. Congratulations and welcome, Debbie and Peter! Helena Sunrise member/Rotary 5390 District Governor, Rick Moore (left of center in Rotary cap) are joined by Sunrise members, Greg Duncan and Dan McLean (to Rick's right) at the 6th Ward Garden Park to dedicate improvements to the park arranged by the Club. 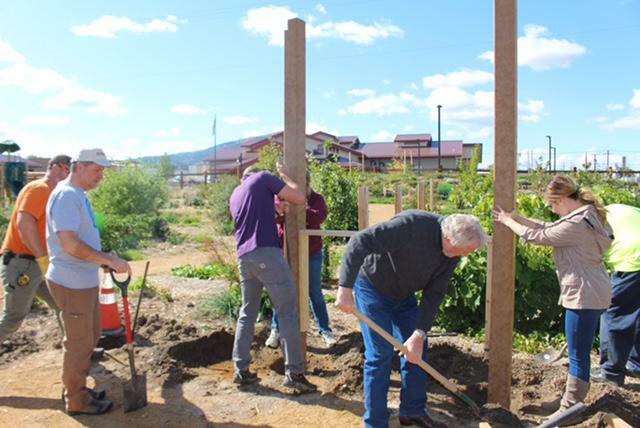 Contributions by CWG Architects, Valley Bank, First Interstate Bank and The Helena Realtor's Association made a new pergola, benches and sign work possible. Thank you sponsors!!! 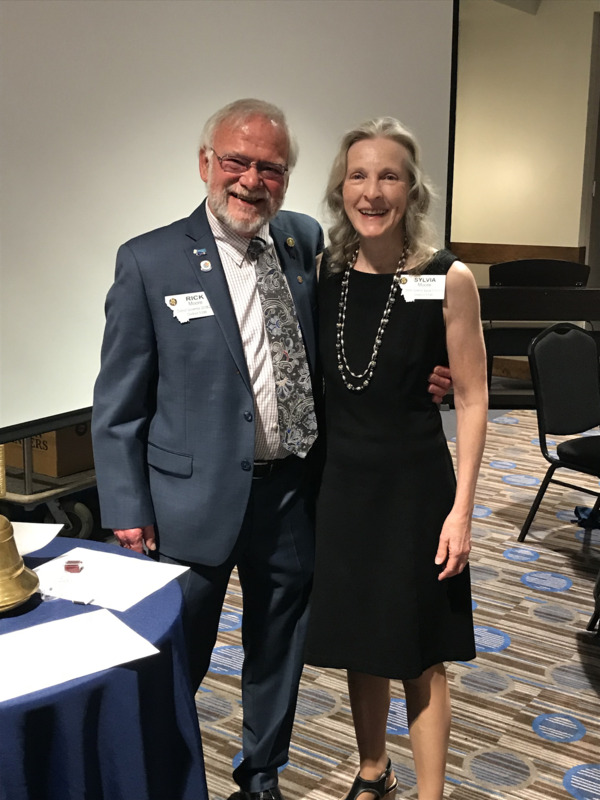 Incoming 2018-2019 Rotary Club of Helena, Sunrise President Michelle Vanisko is congratulated by District Governor, Rick Moore (also a Helena Sunrise member.) Additionally, outgoing president, Dan McLean (to Michelle's right) and President-Elect Murray Strong were recognized. Many thanks to Dan for his leadership this past year and congratulations to Michelle and Murray! NO MEETING ON TUESDAY, JULY 3. HAPPY 4TH OF JULY! 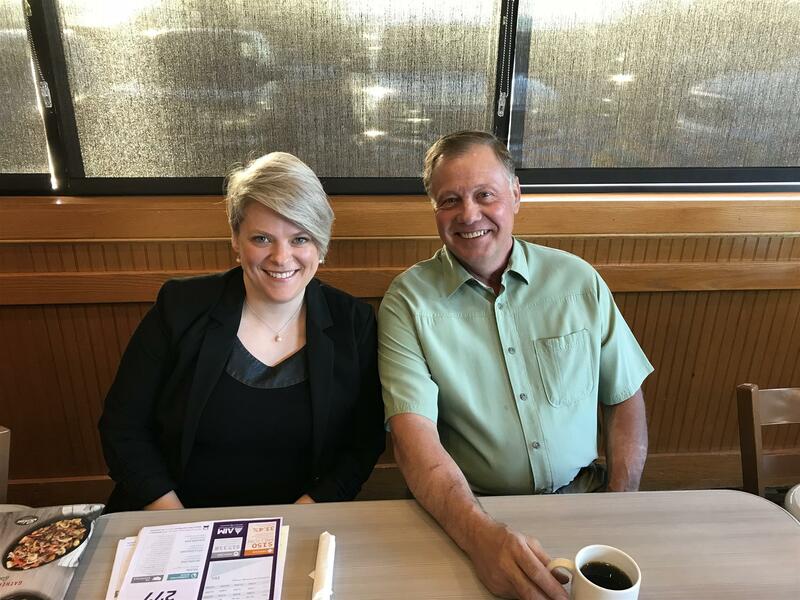 On Tuesday, May 8, 2018, we heard from Jayme Klehfoth, shown above with Sunrise Rotary member, Greg Duncan, about the upcoming Walk for Alzheimer's fundraiser on Saturday, September 8, 2018. Alzheimer's is the 6th leading cause of death in the U.S. and currently cannot be prevented, cured or slowed. The upcoming walk supports the Alzheimer's Association, which is is a global organization, working to advance care, support and research across the world to treat this awful disease. From face-to-face support to online education programs and promising worldwide research initiatives, the money raised makes a difference in the lives of those facing Alzheimer's. Volunteers are encouraged to walk in support of the fundraising and/or support other walkers by sponsorship. District 5390 Governor Rick Moore and his wife, Sylvia. Congratulations Sylvia!! 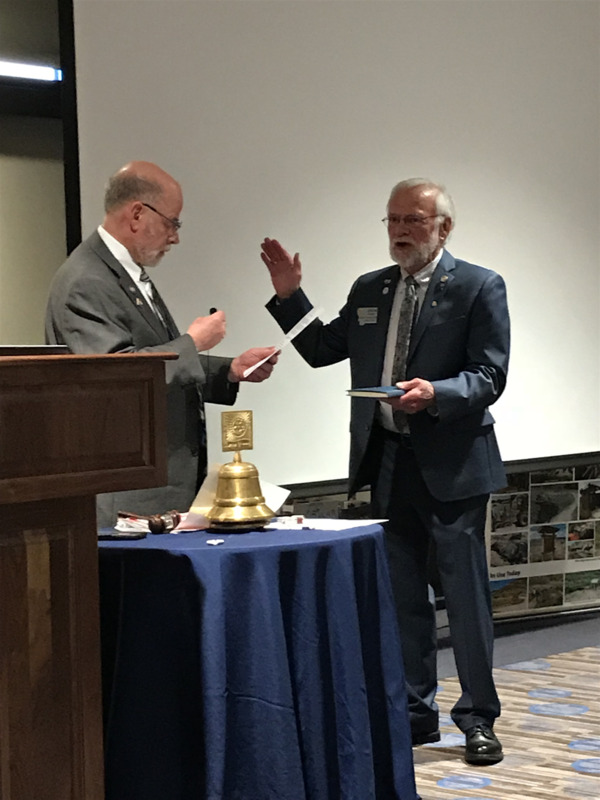 Rick Moore is sworn in as District Governor for Rotary District 5390 on Saturday, April 28, 2018. Congratulations, Rick!!! Incoming District Governor, Rick Moore, passes on the District Governor Elect Banner and Pin to incoming DGE, Sandy Wong at the District Conference held in Butte on April 27 and 28, 2018. Immediate Past District Governor, Joe McBride, is shown to Sandy's right. Congratulations Sandy! AND, Congratulations Rick! We look forward to another great year in Rotary under your leadership! Our speaker for April 17, 2018 was our April Trivia partner, WorldMontana® World Montana is an affiliate of the National Council for International Visitors (NCIV) based in Washington, D.C. It is one of 88 U.S. non-profit centers dedicated to promoting global understanding through citizen diplomacy. One of the ways they try to foster global understanding is by facilitating the International Visitor Leadership Program sponsored by the U.S. Department of State. 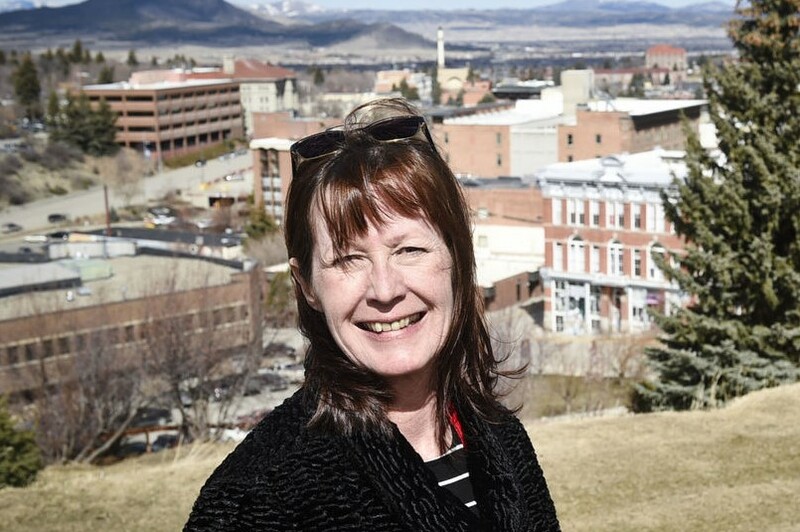 In Montana, they host approximately 150 international leaders through this program each year. 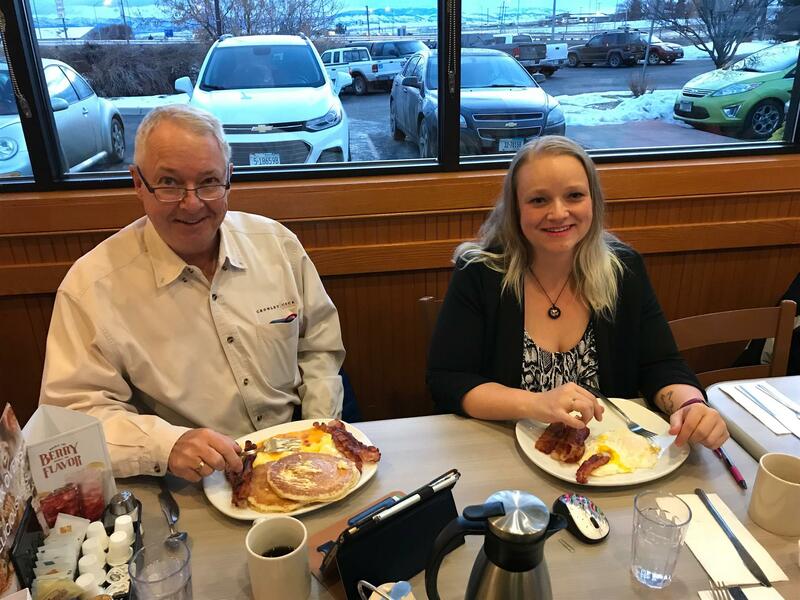 Pictured above are Sasha Fendrick, Executive Director and Sunrise Rotary member and District Governor Elect, Rick Moore. Our speaker on April 10, 2018 was Keri Yoder with the American Cancer Society Cancer Action Network. ACSCAN works to end suffering and death from cancer in every state and over 100 communities across the country. From state legislatures to local city councils and county commissions, ACSCAN is working to pass laws and regulations that move us closer to the day when no one has to hear those three scary words, "You have cancer." Kiva is an international nonprofit, founded in 2005 and based in San Francisco, with a mission to connect people through lending to alleviate poverty. Working through local micro-lenders throughout the world, KIVA assists entrepreneurs with loans as small as $25. Carroll College’s Sigma Beta Delta club sponsors a KIVA chapter in Helena. 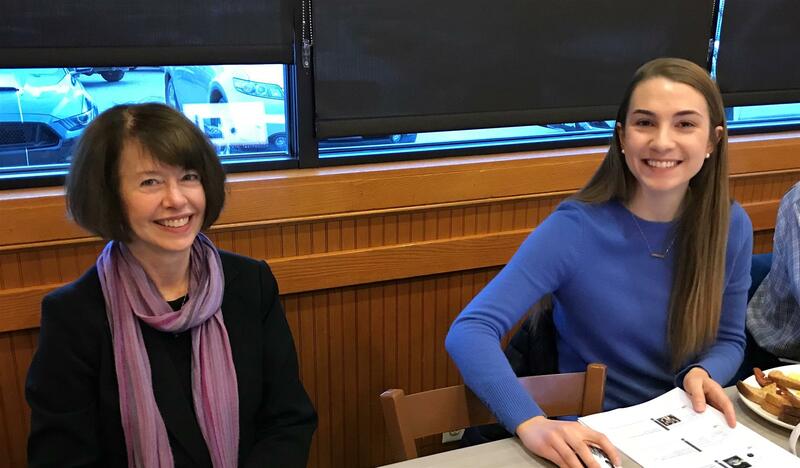 SBD representative, Caroline Crapo and Faculty Advisor, Belle Marie spoke to the club about KIVA’s good work. 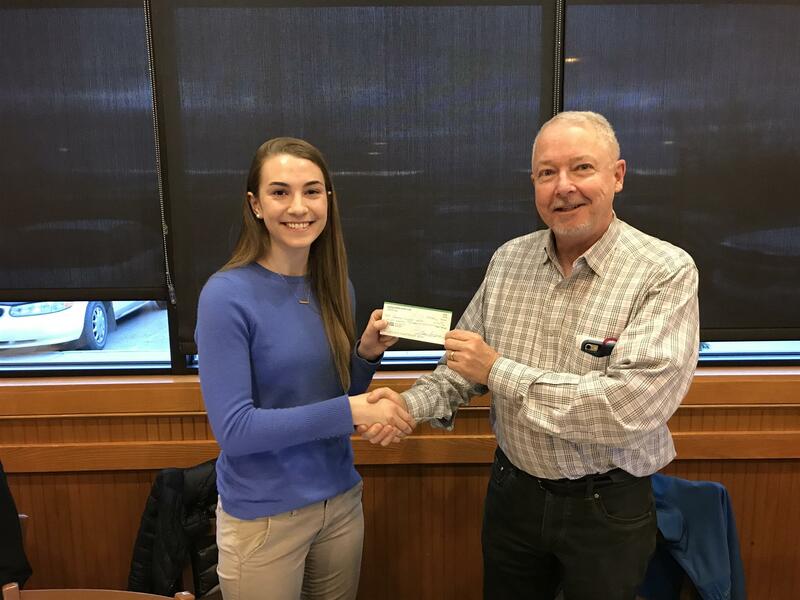 At conclusion of the meeting, Sunrise Rotary Club President, Dan McLean, presented Caroline with a check from the club for $90 which represents 4th quarter 2017 donations from club members to support SBD’s KIVA chapter’s work. Great program! Thanks Sigma Beta Delta! 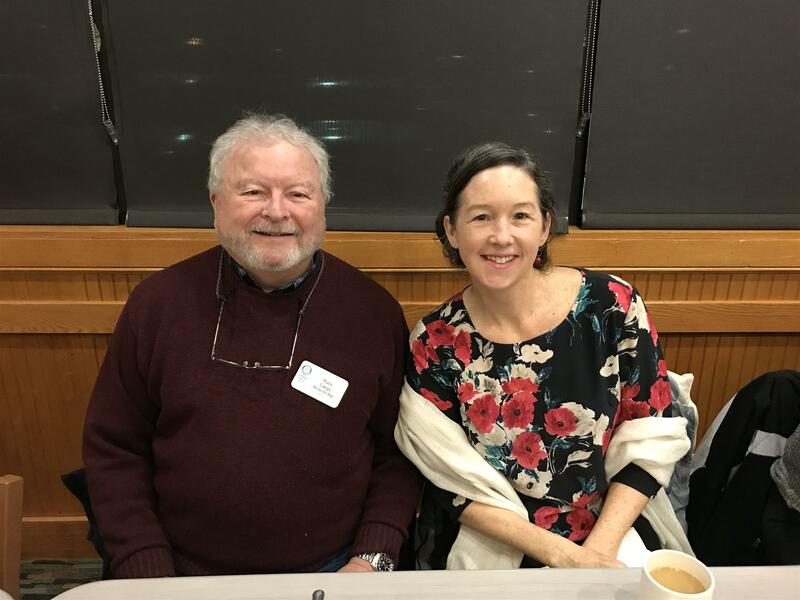 The Helena YWCA's new Executive Director, Monica Lindeen, pictured here with member, Dewey Bruce, spoke to the club about the Y's current events at the meeting Tuesday, February 13. The YWCA was also our Trivia partner on Thursday, February 15, in which over $800 was raised (top picture!) Great turn out for the Y! 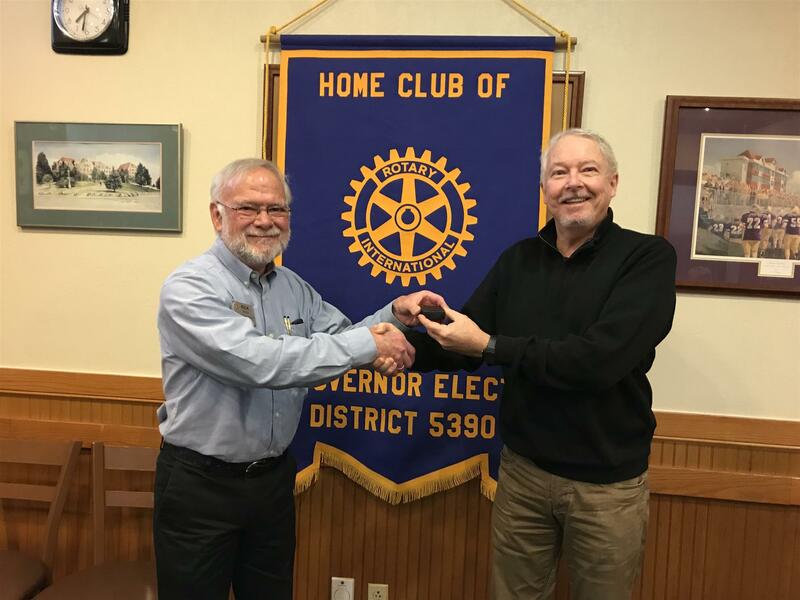 District 5390 Governor-Elect, Rick Moore receives a Paul Harris +2 award from Club President, Dan McLean at our meeting on Tuesday, February 13, 2017. Thanks Rick, for your dedication to Rotary and its causes - more to come during your time as District Governor! Russ Cargo, Gary Williams (standing), Jock Palmquist and Gary Carlson are great examples of the leaders we have in our club. In this shot, they take a moment away from tallying Trivia Night scores to smile for the camera during another successful fund-raising night. CASA (Court Appointed Special Advocates) of Lewis & Clark and Broadwater Counties Co-Executive Director, Pam Young, was our speaker on Tuesday, January 16, 2018. Pam explained: The mission of CASA is to provide volunteer guardians to work on behalf of abused and neglected children to promote their best interests in the pursuit of safe, permanent homes. Drug abuse is a huge driver of the need to have someone who listens to children who have been removed from the home and then advocates for them through legal proceedings. Children with CASA advocates spend less time in foster care, do better in school and are less likely to be bounced from home to home. They are half as likely to re-enter foster care. Club member, Alice Hinshaw, pictured above (L) with Pam has recently joined CASA as an advocate. Thank you Pam and Alice!! 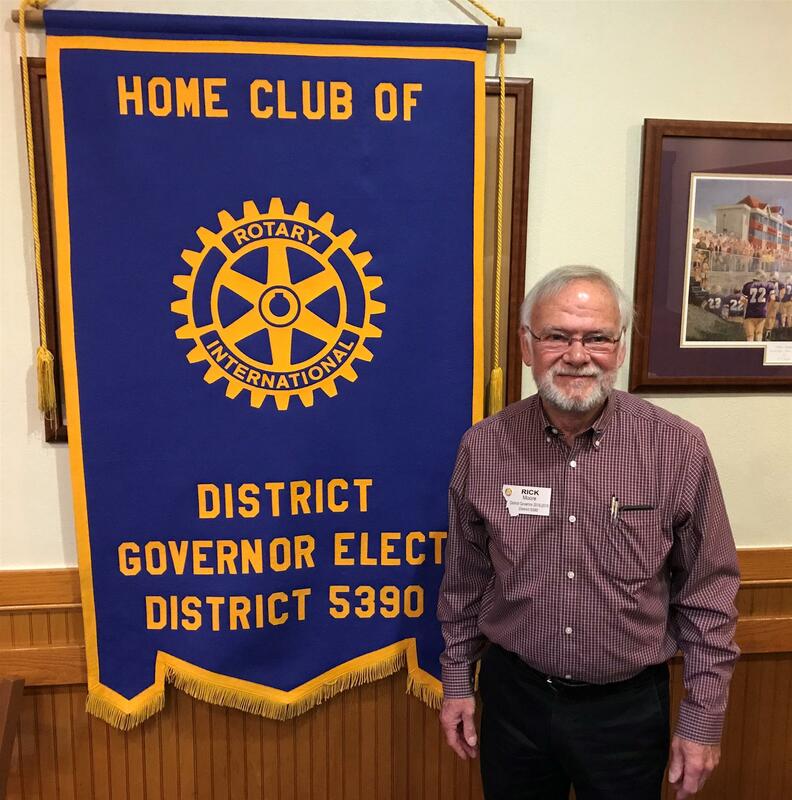 Rick Moore, District 5390 Governor-Elect, spoke to club members on Tuesday, December 19, 2017 on the subject of "Our Rotary." Rick gave a great outline of Rotary, its beginnings, structure, programs and international scale. He also explained how demographics are changing with membership challenges in the U.S. and our Zone. 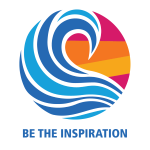 We are all encouraged to note and take action on the Rotary Vision to "Join Leaders! Share Ideas! Take Action!" 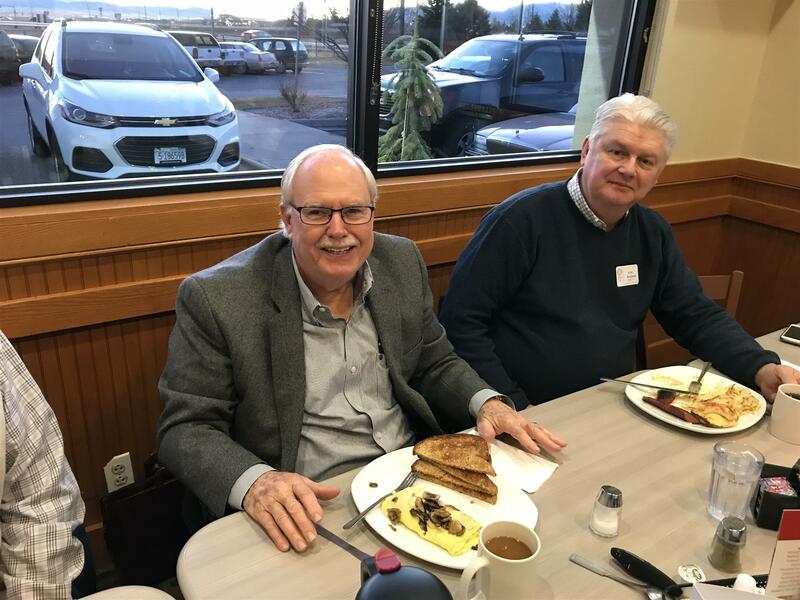 Rick is doing a great job dedicating his time and energy giving leadership to the District, while simultaneously supporting Helena Sunrise. Thanks, Rick! 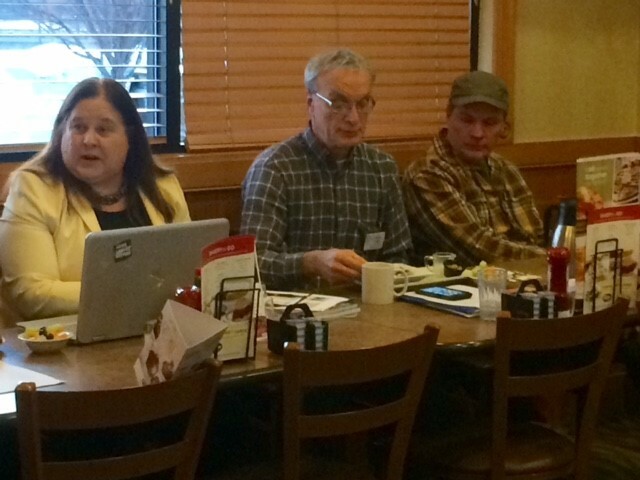 North Jefferson County Library Director, Carly Delsigne and NJCL board member, Marty Clark (shown below with members Dan McLean and Rick Moore), joined our meeting on December 12. 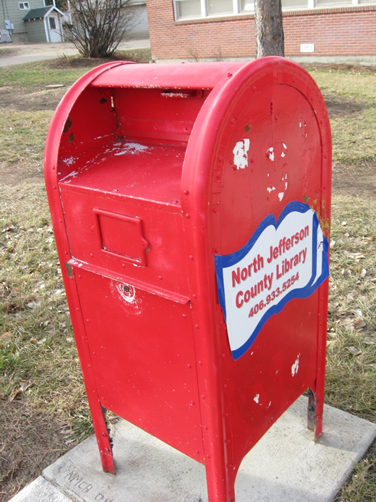 Carly and Marty explained the need for the library to do repairs and maintenance on drop boxes located at various points around north Jefferson County. The library is heavily used and given the large number of Jefferson County residents who are members of Rotary, a Rotary District Grant is being pursued to help with these needed rennovations. More to come later as grant application work is done. 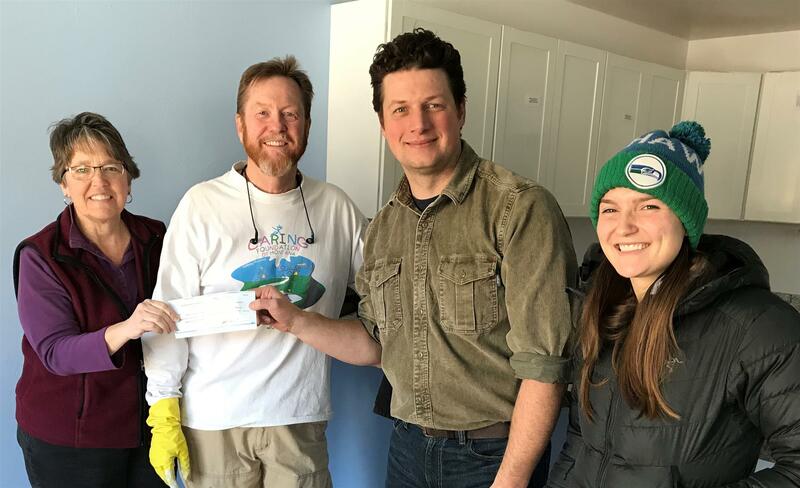 Club members, Marie Mullarkey (L) and Brad Lancaster present a check to Habitat For Humanity of Helena Executive Director, Jacob Kuntz and Habitat Volunteer Coordinator, Sophia Webb. 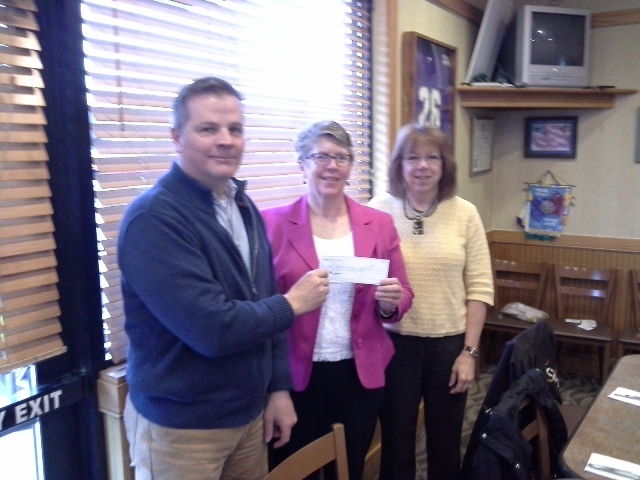 The check represents a share of recent Sunrise Rotary Trivia night fund-raising. Good job, Habitat! Our speaker, Reverend Rick Hulbert, spoke on Tuesday, November 28, 2017 on "Bridges." Bridges is a community outreach program of the Helena United Methodist Ministries, hosted by Covenant United Methodist Church in collaboration with AARP Montana. Bridges offers specialized educational programs and workshops that focus on challenges and opportunities of aging. 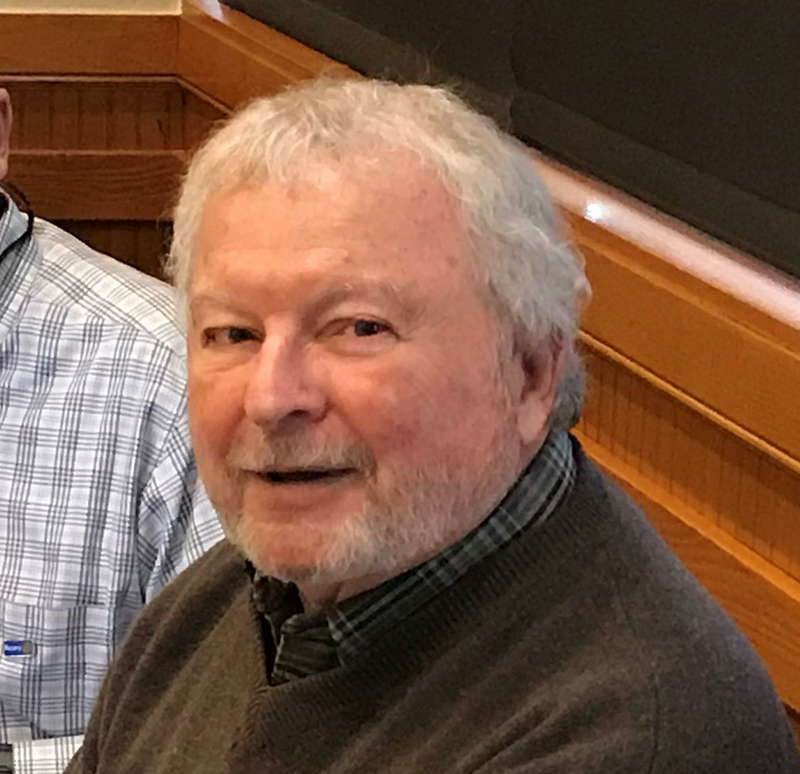 Rick did an excellent job of re-capping some of the issues that accompany aging and how many, perhaps most, people do not adequately plan for the inevitable issues arise as we become less able to care for ourselves. Rick (left) is shown with member, Arne Bergland, who arranged for Rick to speak. Brad Lancaster presents Club President, Dan McLean, with his 3rd Paul Harris Fellow Award. Thanks for your generosity, Dan!! 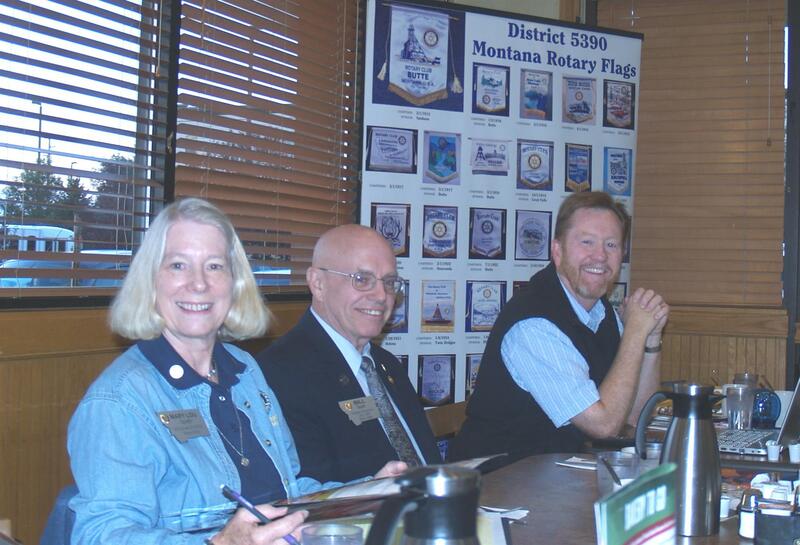 Russ Cargo, in addition to being a Helena Sunrise Rotary Club member, serves as Chairman of the Montana Club, a long-standing private club located in downtown Helena and we were treated to an interesting update on Club operations at our meeting on October 18, 2017. Established in 1885, the Montana Club is one of the oldest institutions in Helena and Montana. Long a private entity open only to members, a new direction is being taken by converting the club to a Cooperative entity, and opening the club to the general public. A commission has been formed to accept subscriptions for patronage shares to provide initial capitalization for the new co-op. For more information, please e-mail mtclubcoop@gmail.com, or Russ would undoubtedly be happy to visit in person for those who prefer it. 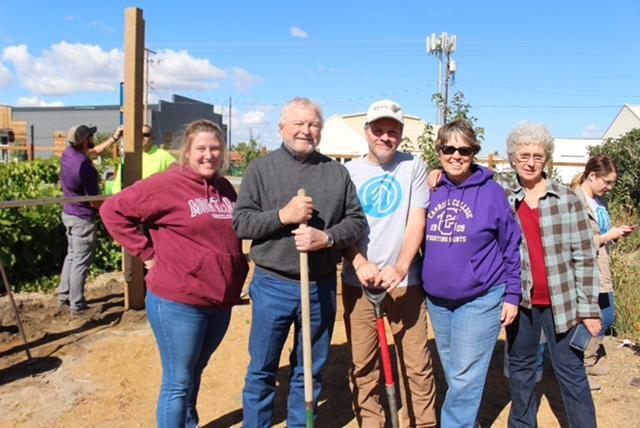 The crackerjack crew of Michelle Vanisko, Russ Cargo, Tony Perpignano, Marie Mullarkey and Alice Hinshaw combine brain, brawn and general good looks to install bench and pergola parts at the 6th Ward Garden Park. 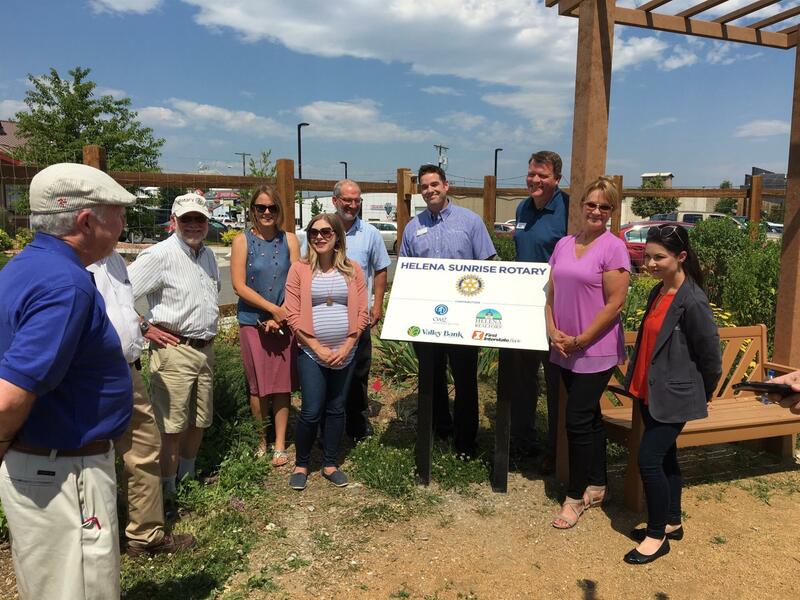 Thanks to funding from a Rotary District 5390 grant and contributions from CWG Architects, Valley Bank of Helena, The Helena Association of Realtors, and First Interstate Bank of Helena, this wonderful community park/garden is rapidly becoming a showpiece of Helena. Thanks crew!! Gary Williams and Rick Moore, two of the hardest working members of our club received well deserved Paul Harris Fellow recognition on August 29, 2017. Gary works tirelessly and cheerfully as our Secretary/Treasurer and contributes mightily to the club's success. He also does much of the coordination and all of the accounting for our major fundraising via Trivia nights. Rick is District Governor Elect and faithfully and consistently represents and upholds the values of Rotary. In addition to his District Officer duties, Rick keeps very active in our local club, volunteering for projects, hosting exchange members and generally being a cheerleader for the Club, the District and Rotary International. Gary and Rick - we are very fortunate to have both of you in our Club!! Thank you and CONGRATULATIONS!!! Rotary Youth Leadership Academy ("RYLA") 2017 representative student from Helena, CharlieAnn Bedford and her parents, Jan and Pete Petek (pictured L-R) spoke to the club on Tuesday, August 22. CharlieAnn gave a thoughtful, excited and emotional presentation about how RYLA camp touched her and left her with new friends from around the state. She has also applied to be a counselor for future camps. Thank you CharlieAnn! 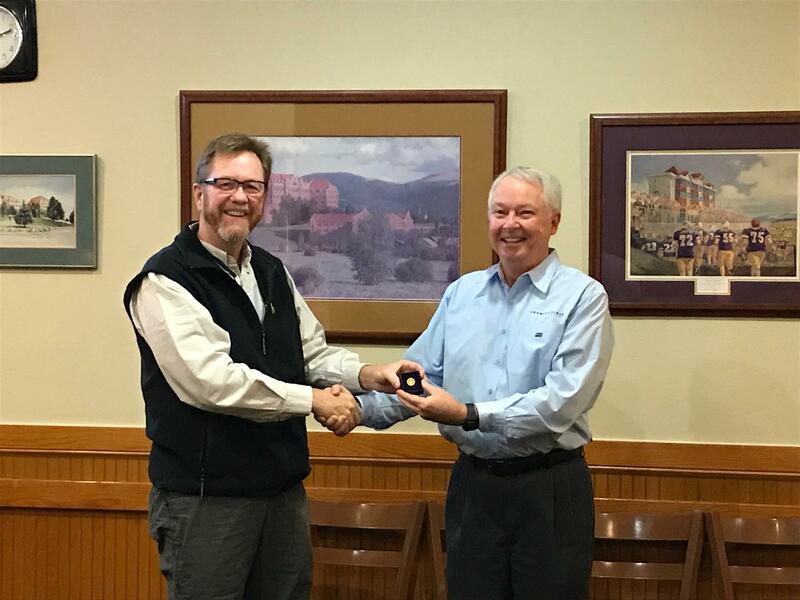 Club President Dan McLean presented Past President Brad Lancaster with a Paul Harris Fellow Pin at our meeting this week. Our Club decided to honor Brad with a Paul Harris Fellow in recognition of his many accomplishments during his year as President of our Club. Brad made Membership his top priority. During his year as President, our Club almost doubled in size, and increased significantly in diversity, with many more women and younger members. Brad also made a significant effort to educate Club members on The Rotary Foundation and how to make contributions to The Rotary Foundation on line. In addition to all that he does for Rotary, Brad also provides many hours of service to charitable organizations in our Community. Many thanks Brad for all that you have done for our Club and our Community. Ray Zinn, author of "Tough Things First"
Our speaker for August 15, 2017, was Ray Zinn, the longest serving CEO of a Silicon Valley company. Ray was joined by his wife, DeLona and spoke to the club about his belief that a strong work ethic is essential to success in business and in life. At the conclusion of his talk, he presented the club with a copy of his book, "Tough Things First" to give away by raffle, which was won by Rick Moore. 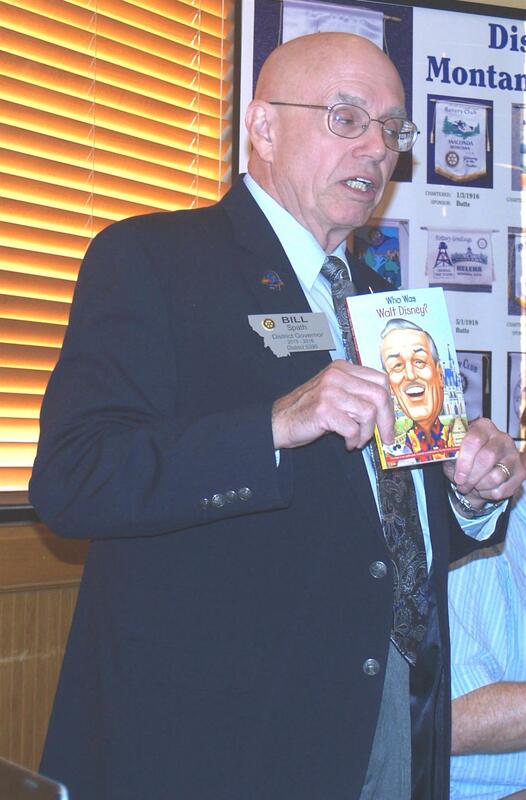 As incoming District Governor, Rick advised that he plans to read and then share the book with the District. Ray and DeLona also invited all members and their families to their annual 4th of July fireworks, music and patriotic speaking event at their ranch located at the base of McDonald Pass. Read more about Ray at https://en.wikipedia.org/wiki/Ray_Zinn . Pictured are DeLona Zinn, Ray Zinn and club members, Dewey Bruce, Dan McLean and Tony Perpignano. 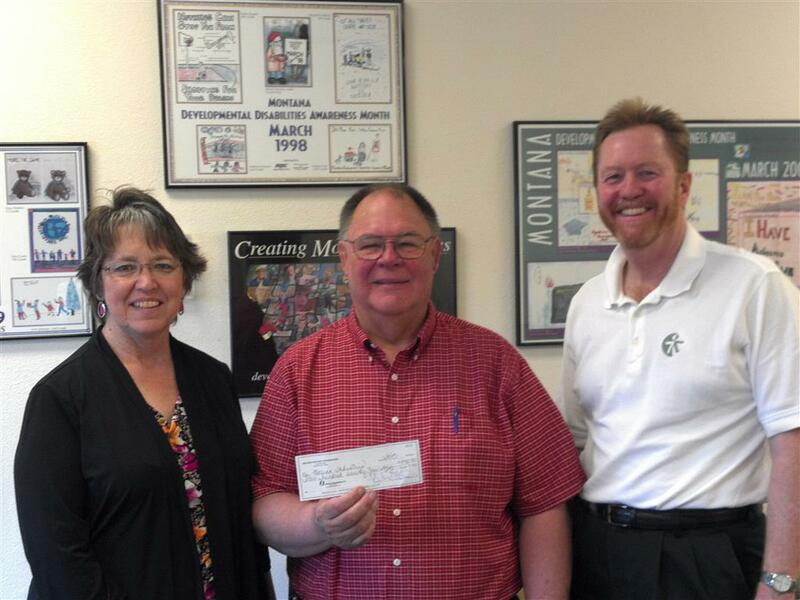 Freda Wilkinson and Mark Simonich (right) of the Helena Association of Realtors present Helena Sunrise Rotary President, Dan McLean with a check for $3,000 to help cover costs for the 6th Ward Park project. Thank you Helena Realtors!!!! 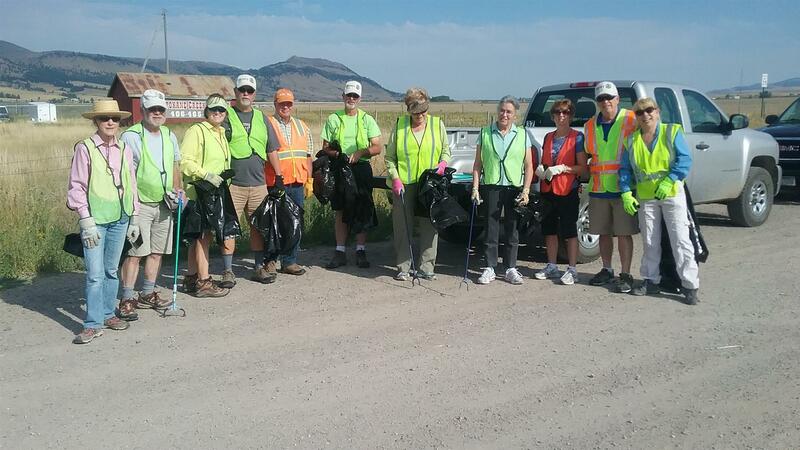 A dedicated group of volunteers did "round two" of cleanup work on Spokane Creek Road on Tuesday evening, July 25. Trash was not as plentiful as with the first cleanup and leader, Murray Strong, advises that a couple of times per year appears adequate to keep this section of highway clean. Thanks Murray for your leadership with this community service!! Townsend Fall Fest is coming! The Townsend Fall Fest is approaching and will be held September - October 1, 2017. 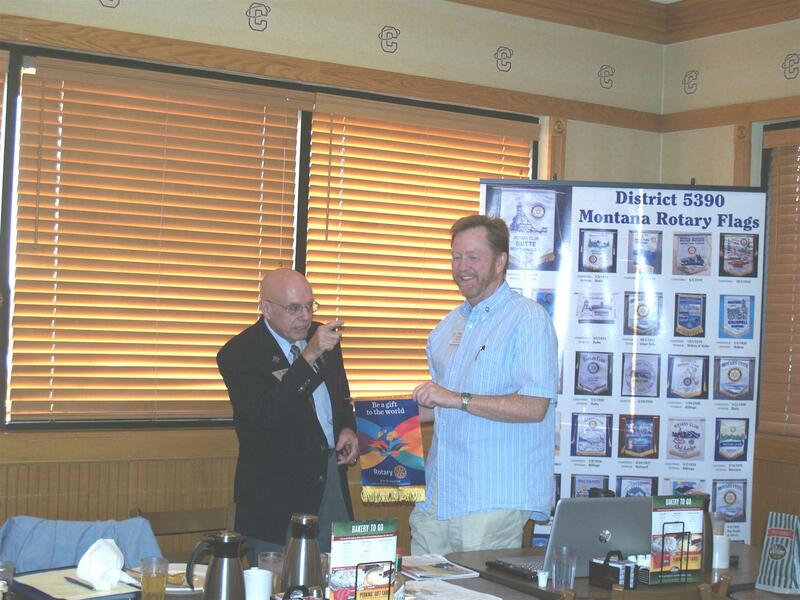 Pat Platenberg spoke to our club at the monthly business meeting on Tuesday, August 1. In addition to being a lot of fun, Pat offered the opportunity for club members to volunteer and help with various events. The Fall Fest has grown significantly in recent years and is more challenging for for the Townsend Rotary Club to manage alone. For information, please contact Pat at - 406-431-4615. Pictured (below) and showing both thoughtfulness and excitement are Marshall Gingery (L) and Pat. Allison Atkinson, Marketing Officer for Valley Bank of Helena, joined the business meeting on Tuesday, August 1, 2017 and presented a check for $4,500 to Helena Sunrise Rotary. 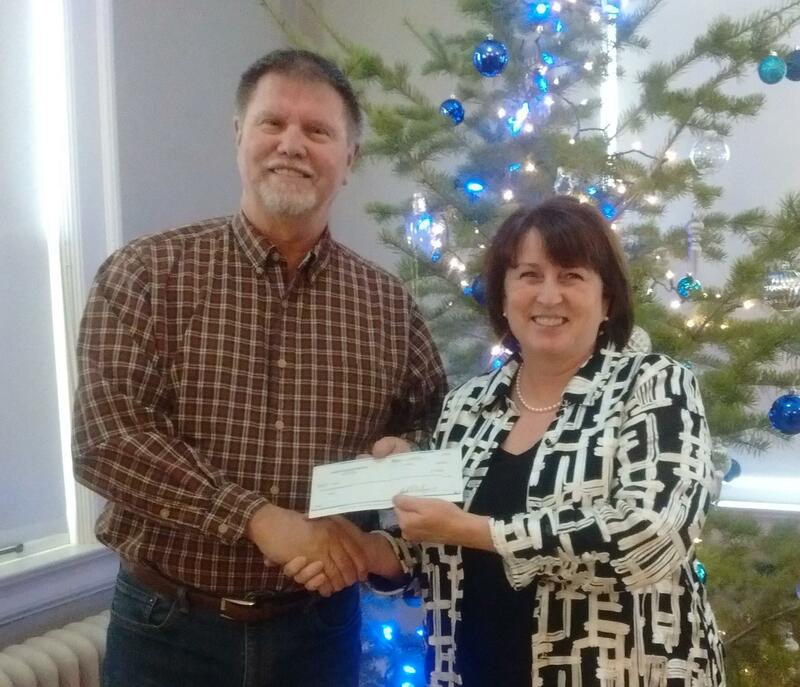 Member, Greg Duncan, who was instrumental in contacting Valley Bank for this funding, is shown receiving the check from Allison. This gift is a significant boost in helping our club gain matching Rotary Grant funding for benches and other improvements for the 6th Ward Garden Park in Helena. Thanks Alison! Thanks Valley Bank of Helena! Thanks Greg! Our speaker on Tuesday, July 25, 2017, was Gary Carlson. Gary spoke from the perspective of being a rancher on his family operation near Bernice, Montana (between Helena and Butte.) More specifically, Gary outlined a situation in which the U.S. Forest Service, landowners and other stakeholders in the area have agreed to collaboration for a thinning/harvesting/fire mitigation project that has now commenced with an 18 month USFS environmental study. Part of Gary's explanation of the situation was that ranchers are good stewards of land and must be to survive over the long run, and such projects are not supported without a great deal of fore-thought and planning for the best results. He noted that litigation against such sales after conclusion of a USFS study is often driven by a few national not-for-profit entities who automatically file suit to stop such timber work without regard to merit of the project or the long-term best interest of the forest, landowners or surrounding communities. 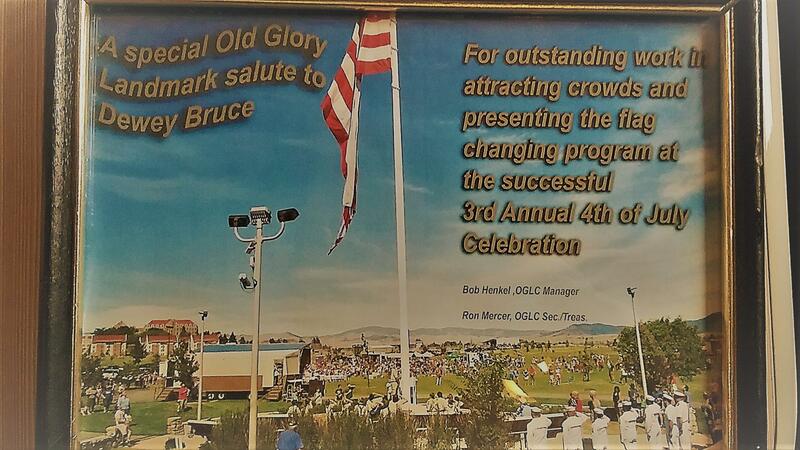 Sunrise Member, Dewey Bruce, was recognized by Bob Henkel of the Old Glory Landmark Committee for his work in promoting the changing of the flag ceremony on the 4th of July the past 3 years. Dewey has volunteered many hours and worked tirelessly and with his usual upbeat manner in contributing to the success of this reinvigorated annual recognition of celebrating our country's independence. GREAT job Dewey!!! Our speaker on Tuesday, July 18, 2017, was Renee Bauer, Executive Director of the Helena Improvement District and Downtown Helena, Inc. Renee explained the functions of the two entities and also led discussion on events and business happenings in the downtown area. The Montana Society of Certified Public Accountants (MSCPA) has announced that Helena CPA, Gary Carlson, shareholder at Anderson ZurMuehlen, was awarded the Society’s inaugural Community Service Award on June 22, at MSCPA’s 104th Annual Conference. This award is a celebration of the many contributions CPAs make in their communities. 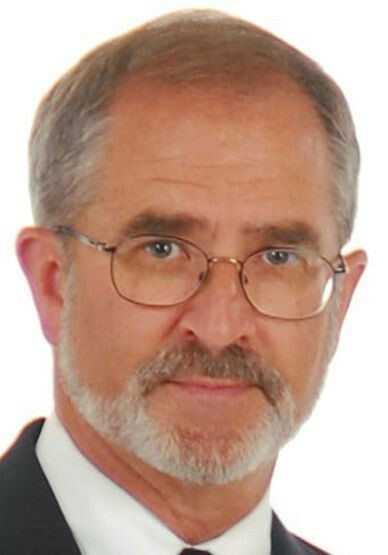 Throughout his career, Carlson has been involved with Rotary, many local and statewide organizations, and the Rocky Mountain Development Council (RMDC). In 2000, along with representatives from Rocky Mountain Development Council, Inc., Carlson spearheaded the inaugural Spirit of Service day in Helena, Montana. Spirit of Service is an opportunity for business, not-for-profits, governments and their employees to give back to the community in which they live through lending a helping hand to homeowners in need. GREAT JOB, GARY! NO MEETING ON TUESDAY, JULY 4, 2017. PLEASE CELEBRATE THE RECOGNITION OF OUR COUNTRY'S INDEPENDENCE DAY. COME TO MEMORIAL PARK FOR EVENTS AND CHECK ON ROTARIANS WORKING THE "BOUNCE HOUSES." NEXT MEETING WILL BE TUESDAY, JULY 11, 2017 AT PERKINS RESTAURANT. 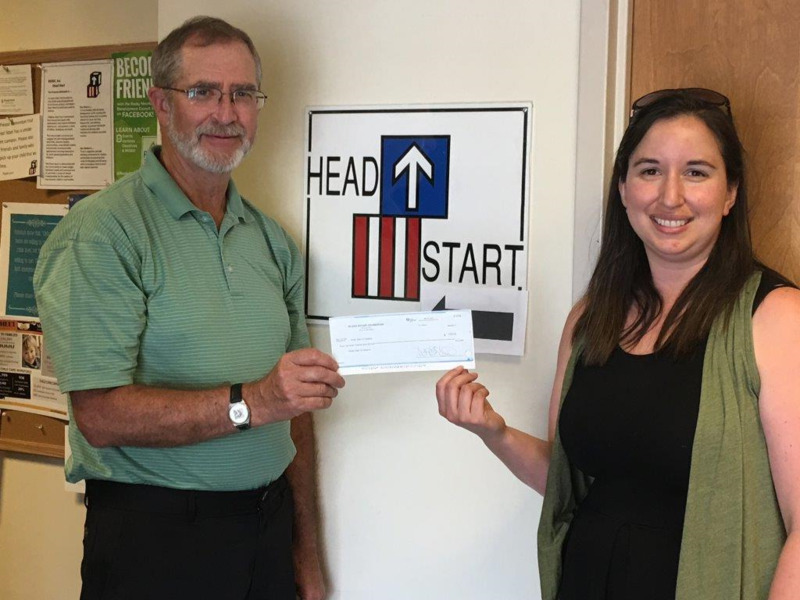 Helena Sunrise Rotary member, Gary Carlson, presents Helena Head Start Program Director, Ashley Pena-Larsen. Head Start was our Trivia partner for March, 2017. Fred Krepps, Financial Services Advisor for D.A. Davidson was our speaker on May 30. Fred gave an interesting and informative perspective on current financial market conditions. Above, left to right: Fred, Gary Williams, Kristina Warren, Dewey Bruce and Jock Palmquist. Our speakers on Tuesday, May 9, 2017 were Madie Padon, Youth Program Coordinator (left) and Adam Hein, Regional Director for the Montana Conservation Corps, Central Division. MCC is a program of outdoor volunteer service on Montana's public lands. Member, Alice Hinshaw is pictured to Adam's right. Women in Rotary were celebrated Saturday evening, May 6, 2017. 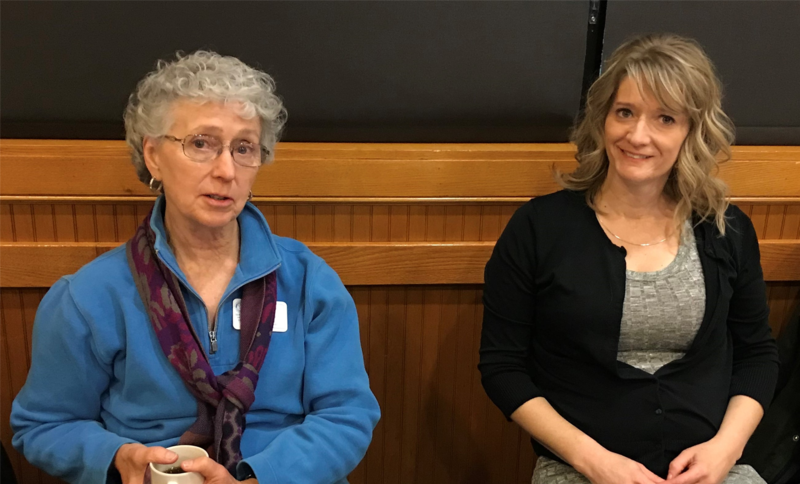 Organizer, Marie Mullarkey did an excellent job of arranging for speakers, Jackie Lavelle, Malinda Schafman and Sheila Sterns (the first woman Rotarian in Montana) to give humorous and insightful presentations. The evening concluded with a dessert auction by master auctioneer, Rick Moore (unfortunately no picture!) Women have been a GREAT addition to our club! Save The Brain was the subject of our speaker on April 25, 2017, Stacy Tureck (left). Our own Katherine Comer-Tuss is pictured above with Stacy. 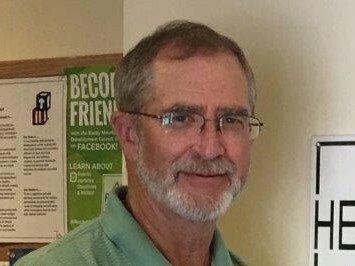 Our speaker Tuesday, April 18, 2017, was Chris Siders, Match Support Specialist with Big Brothers Big Sisters of Helena. Chris gave background and story to the impact that "Bigs" have on "Littles." BBBS was also our partner agency for our Trivia Night fundraiser on Thursday, April 20, 2017. First Interstate Bank President, Rich Bruner, presents a check for $1,000 to Club Treasurer, Gary Williams to assist in funding improvements to the 6th Ward Community Garden. More information to come later on the Garden project. Russ Cargo presents a banner from his recent visit to the Rotary Club of Durham, North Carolina to President-Elect Dan McLean at our April 11, 2017 meeting. Rotarians from the Helena Sunrise Rotary Club and the Helena Rotary Club volunteered this morning helping with the Friendship Center's Empty Bowls event. 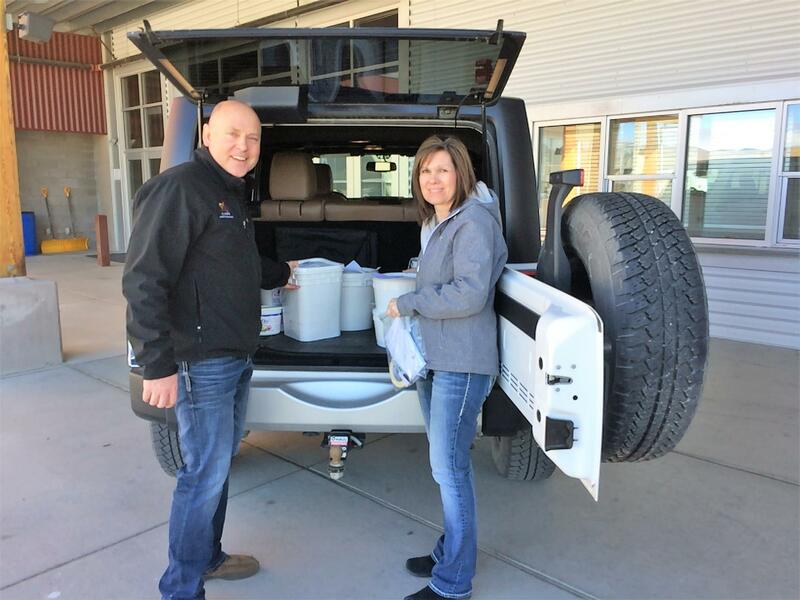 They spent the morning picking up soup and bread from area restaurants and delivering it to the Lewis and Clark Fairgrounds where it will be served up tonight. 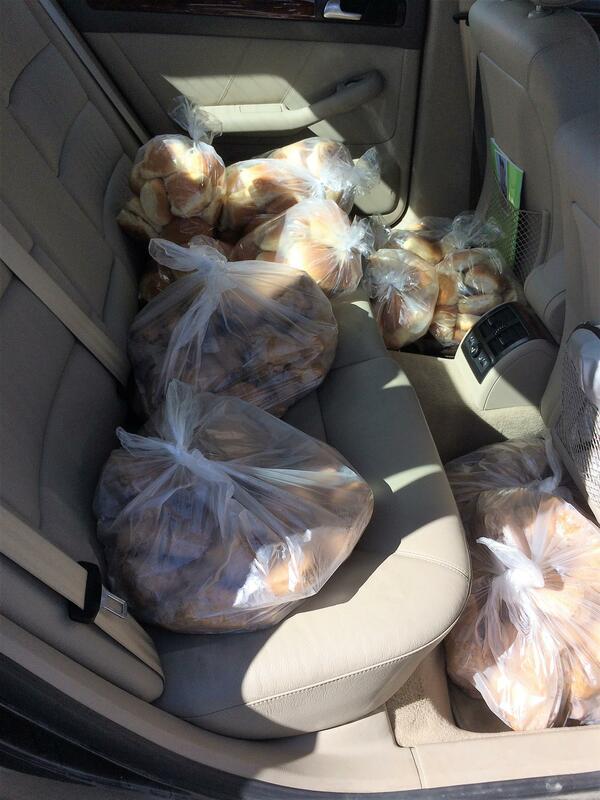 Shown are 40 gallons of soup in Rick and Sylvia's car trunk and 20 dozen rolls in the back seat. Kyle and Jonette are shown with their car load. 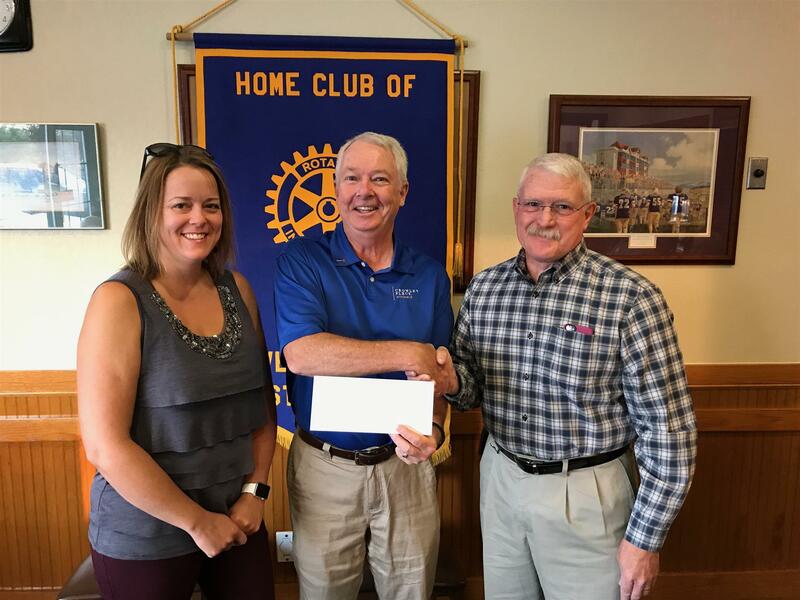 Club Secretary/Treasurer Gary Williams presents a check from Sunrise Rotary to Kellie Goodwin-McBride, Executive Director of the Helena YWCA. The Y was a recent partner in our Trivia Fun Night. 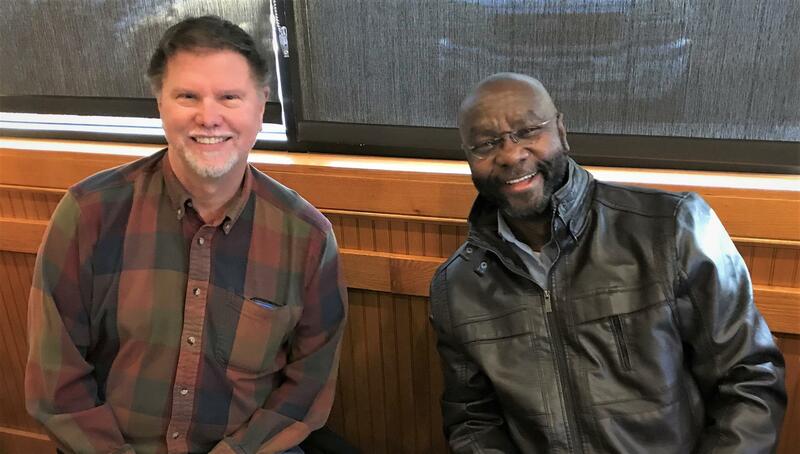 Club member Rick Moore and his wife, Sylvia recently returned from a Rotary Cultural Exchange trip the first week in February. 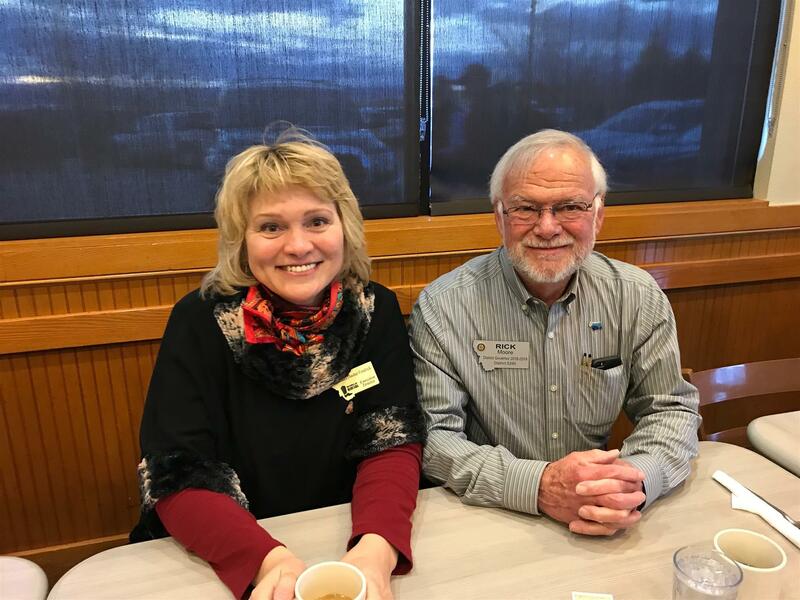 Fellow Rotarians from around Montana joined the Moores and they report a wonderful time connecting with Tasmanian exchange team members (Alera is shown in the first picture above) who visited Montana last year. Rick also made new friends (picture two). The Montana exchange group is shown in the third picture. Rick presented a great program and slide show about the trip at our meeting on March 28, 2017. 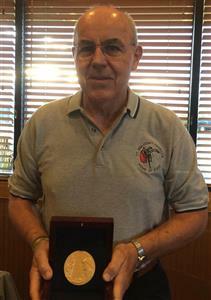 Arne Bergland inducted as new member. 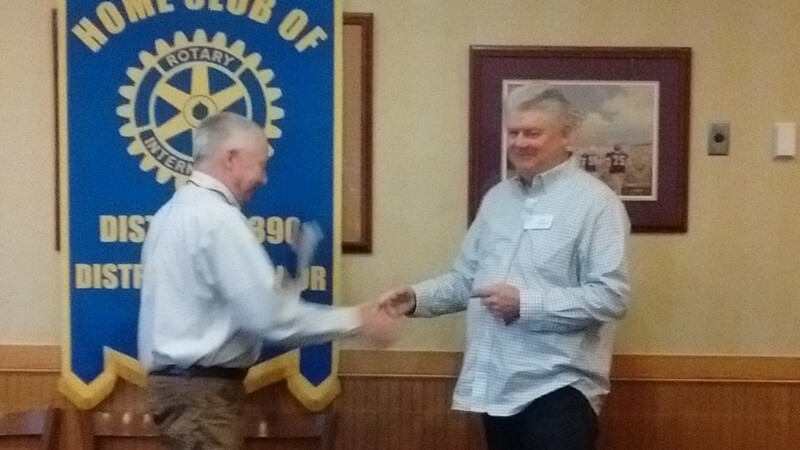 President-Elect Dan McLean welcomes Arne Bergland as the newest member of the Rotary Club of Helena, Sunrise at our meeting on March 28, 2917. March 21, 2017 speaker, Russ Cargo. March 21, 2017. Speaker was Russ Cargo. 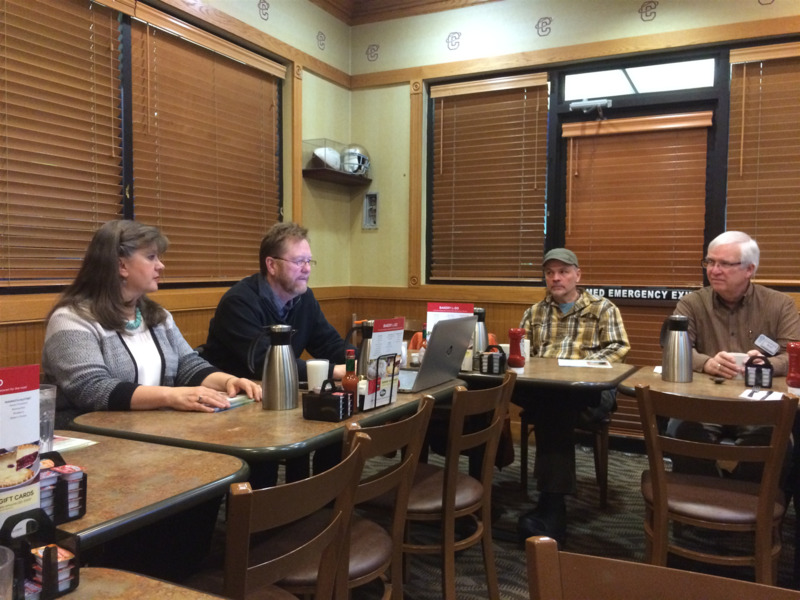 Russ discussed the status of non-profit entities, with focus on charitable non-profits. Russ highlighted the responsibilities, both legal and moral, that come with administration of such organizations. Several points from his presentation have direct application to Rotary. 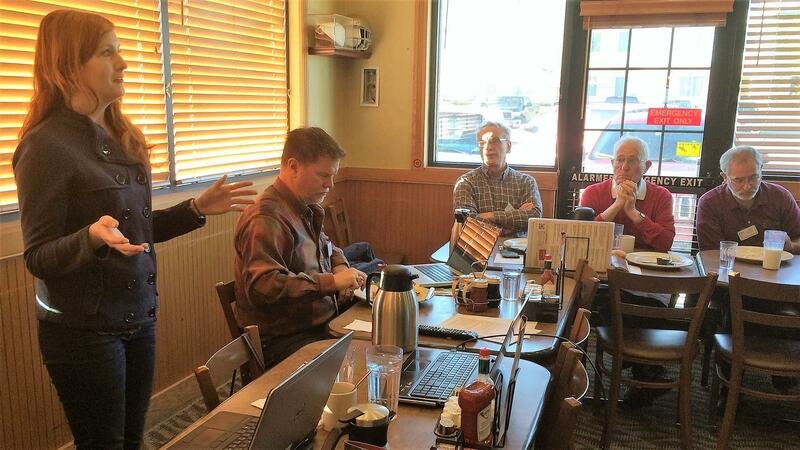 March 21, 2017 - Guest, Pat Seiler (left), speaker, Russ Cargo and attentive members, Brad Lancaster, Fred Krepps, Roy Hockett, Dewey Bruce and Gary Carlson listen to Russ discuss the world of non-profits. 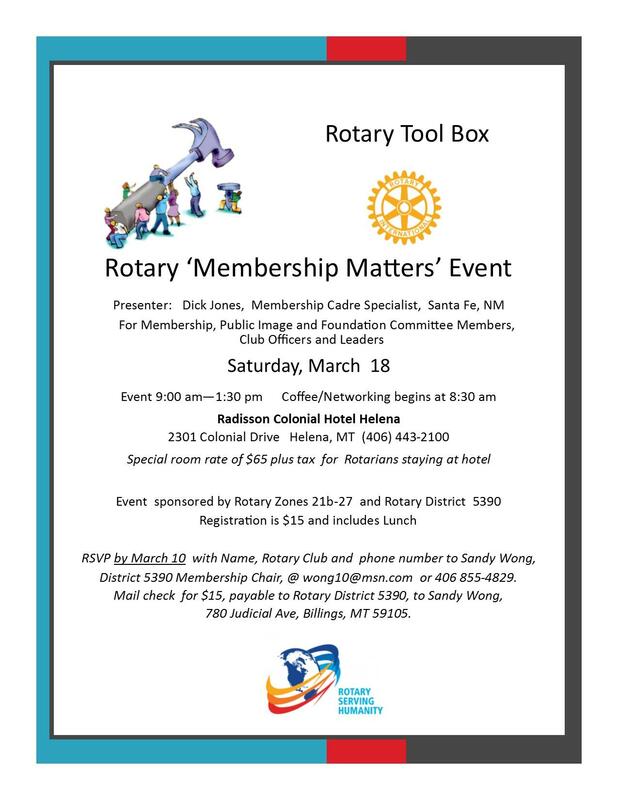 Great opportunity to learn how to recruit and retain members in our Rotary Clubs in the Helena area. Cost is $15 per person, which includes lunch. RSVP by March 10 with Name, Rotary Club and phone number to Sandy Wong, District 5390 Membership Chair, at wong10@msn.com or 406 855-4829. Mail check for $15, payable to Rotary District 5390, to Sandy Wong, 780 Judicial Ave, Billings, MT 59105. Our speaker for Tuesday, February 21, 2017, was Peggy Benkelman (shown here with club members, Murray Strong and Tony Perpignano) of the Lewis & Clark Literacy Council. The Literacy Council helps individuals with reading, writing, English language, workforce and life skills so that they may have an improved quality of life. Trained volunteer tutors work one-on-one with students with a goal of helping citizens become productive and involved members of the community. We had a great turnout for our January Trivia Night! Over 60 people attended. We raised over $600, to be split between the YWCA and our club's charitable activities. Thanks to everyone who came out to support great causes! Our speaker today was Kellie Goodwin McBride, Executive Director of the Helena YWCA. Kellie reviewed the Y’s history and mission of empowering women who are transitioning to permanent and stable housing by providing training and program opportunities to break the cycles of poverty and racism. Educational growth, help with obtaining employment, learning financial budgeting skills and initiating self-care activities are examples of some of the techniques used to help the women in the “Y’s” programs. For more information, see the “Y’s” website: http://www.ywcahelena.org/ The YWCA will be our club's partner at Trivia night on Thursday evening, January 19, 2017 - 6:00 PM at the Staggering Ox Restaurant. Russ Cargo, Executive Director of Helena Industries, is presented a check for $470 by Club Secretary Treasurer Gary Williams. This is Helena Industries share of the proceeds from our recent Trivia Night. Happy Holidays! No meeting on Tuesday, December 27. See everyone at the next meeting on Tuesday, January 3, 2017! 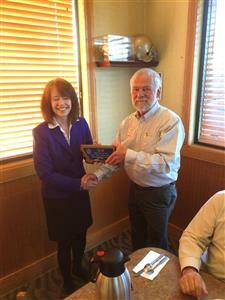 Guest speaker at the November 29 meeting was Lora Belmer, who is also president of the Helena Rotary Club. Lora discussed changes to the former “Clothes for Kids” program to a more general assistance model that helps kids meet school needs year-round, but particularly in August when parents are trying to meet buying needs for new school years. 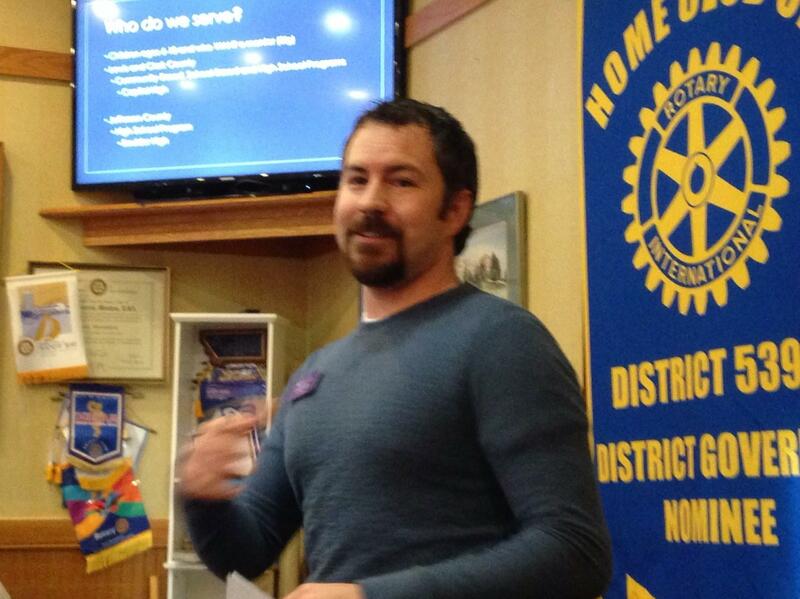 Our speaker Tuesday, the 25th was our own Adam Klippenstein who related some of his experiences from a recent training exercise the Montana National Guard 1-163 Combined Arms Battalion held in Romania. Adam spoke to the pride we should all feel in our Montana National Guard and the quality it presents - particularly when compared with other military forces in the world. Adam also reviewed some exercises recently completed with military personnel from Kyrgystan. It was refreshing to hear how the United States has friends in the world who share in feelings and actions in the battle against terrorism. Thanks Adam!! Join Us Thursday Night to Support Helena Industries at Trivia Night! Our speakers this morning were from Helena Industries, our charitable organization partner for Trivia Night on October 20th. The speakers were Russ Cargo, President and CEO; Katie Gallagher, Marketing Director, and Toni Broadbent, Director of Development. Helena Industries is a private, nonprofit corporation dedicated to serving individuals with disabilities. They reach their objective by providing training, work opportunities, and case management services tailored to the individual’s interest and abilities. Helena Industries provides employment through a variety of businesses that include: textile products, wood products, janitorial services, document destruction, electronic recycling, mailing services, and a retail thrift store. More details about these services are available on their website: www.helenaindustries.org/. They are excited about one of their new product lines from their Benchmark Industries. 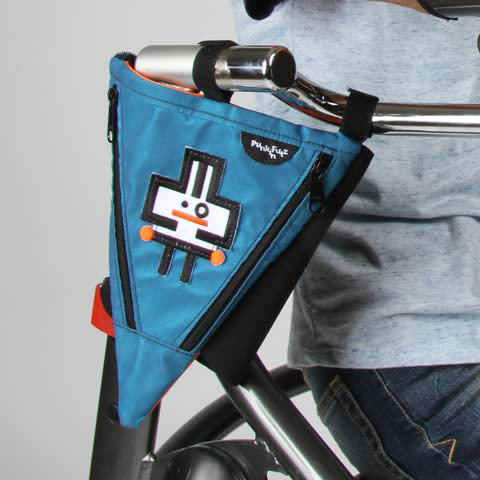 They are now producing products for Punkin Futz, a company dedicated to providing products specifically designed for children with disabilities. Katie brought a Punkin Pie, a small bag specifically designed to attach to a wheel chair. Helena Industries is featured on their web site as their manufacturer who employs individuals with disabilities. We Take Our Award Winning Trivia Night on the Road Next Month! Join us in Townsend on November 10th for Trivia Night to support Canton Church Restoration. And don't forget our own Trivia Night this week at the Staggering Ox! Join us at the Staggering Ox for a night of fun. All proceeds go to support Helena Industries and our Club's charitable project. This is the template with picture and text located in centre.Double click on center image to change it. Please, edit and modify your text as well using functions and menu of this Editor. Vis id dico vivendum, labitur utroque periculis no qui. Has in semper delenit temporibus. Purto quaestio assentior at eum, qui aliquip dolorum cu. Et vis zril definiebas, mei an viris tation soluta. Has no quas numquam nusquam, voluptua voluptaria at nec, modus perfecto elaboraret mea et. District Governor Malinda and her husband Dave visited our club in September. Club President Marie presented her a check for $26.50 to The Rotary Foundation as a symbolic gesture of the 100th Anniversary of the Foundation. President Marie has challenged every member to contribute $26.50 by agreeing to match every contribution. After the meeting, she took a tour of Rotary Projects in the Helena area, including the bench at Food Share donated by our Club. We kicked off our Trivia Night season with Youth Homes of Helena. A great crowd turned out for a fun evening and to support Youth Homes. We raised $595, which we will split between Youth Homes and our Club’s charitable activities. Thanks to all who participated! 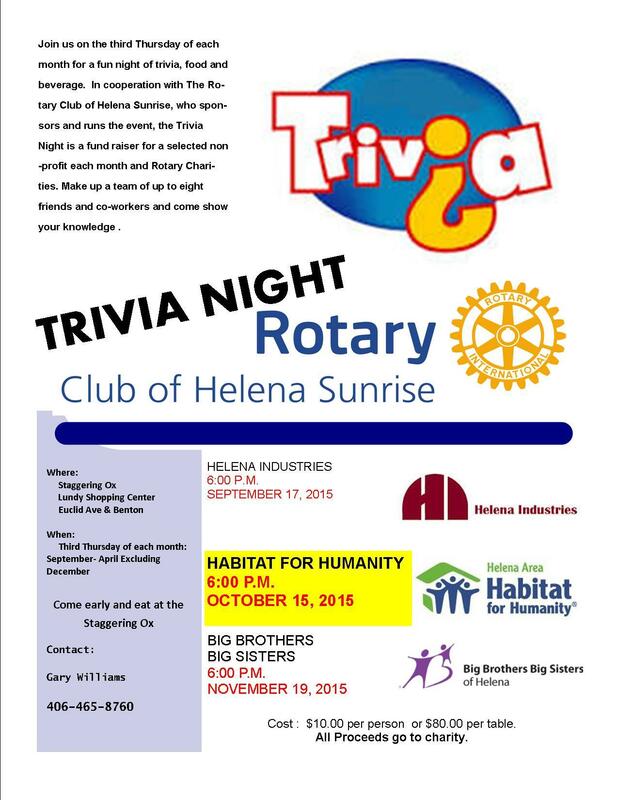 The Helena Sunrise Rotary Club to kicks off the 2016-2017 Trivia Season on September 15th at 6:00 PM at the Staggering Ox. Youth Homes joins us to kick off the season! Our speaker this week was Suzanne Schwichtenberg. Adult Services Librarian with the Lewis and Clark County Library. Suzanne told us about this year’s Big Read, a program of the National Endowment for the Arts. The NEA Big Read broadens our understanding of our world, our communities, and ourselves through the joy of sharing a good book. Managed by Arts Midwest, this initiative offers grants to support innovative community reading programs designed around a single book. Lewis and Clark County Library has received this grant 10 years in a row. A Wizard of Earthsea by Ursula K Le Guin is the book selected for the Big Read this year. Lewis and Clark County Library has put together an amazing series of activities, programs and lectures for all ages to explore this book. The calendar of events is available at https://www.lclibrary.org/306/The-Big-Read. Free copies of the book are available at the library. Suzanne provided copies of the book to all of our members present at the meeting. Summer Picnic - View all the pictures by selecting the Album and clicking on "Slideshow." Our Club Inducted Two New Members This Week! Our Club inducted two new members this week. Michelle Vanisko was sponsored by Alice Hinshaw. Kathryn Comer-Tuss was sponsored by Dan McLean. We are pleased to welcome this two new members, who will contribute their knowledge, skills and connections to our Club. Alice presents Michelle with her Rotary Pin and name badge. President Marie presents Kathryn with her Rotary Pin and name badge. We had two delightful young women from Iraq visit our club this morning. They are visiting the United States thanks to World Montana, a nonprofit organization furthering the cause of citizen diplomacy through global exchanges, community engagement and leadership development. Eleven Iraqi students have been here for about a week. A group from Mexico arrived last night. To see more pictures of the Iraqi students and their activities while in Helena and Montana, visit World Montana’s Facebook Page at www.facebook.com/WorldMontana/. World Montana Program Director Sasha Fendrick told us about their programs and the people that the programs as brought to Montana. 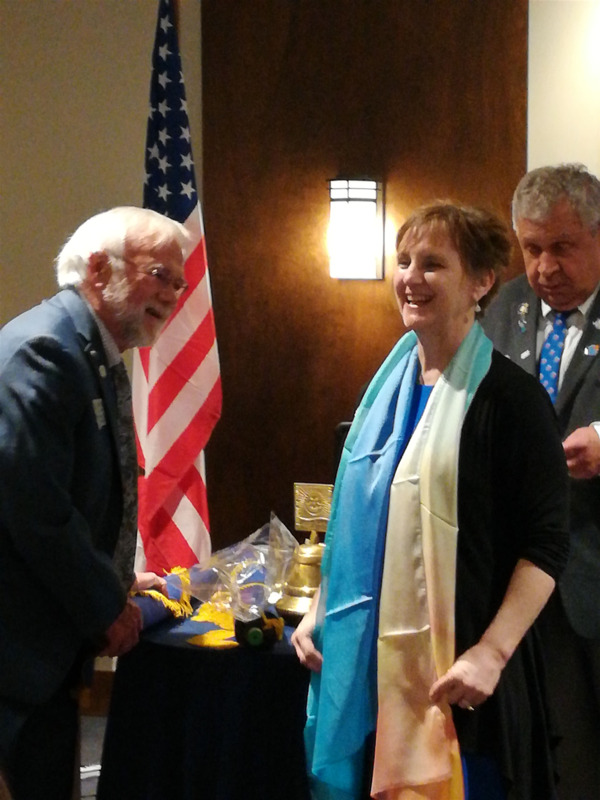 Club President Marie gave each member of the Helena Sunrise Club a Rotary Pin with the new Rotary Logo. Thank you Marie for helping us improve our public image! 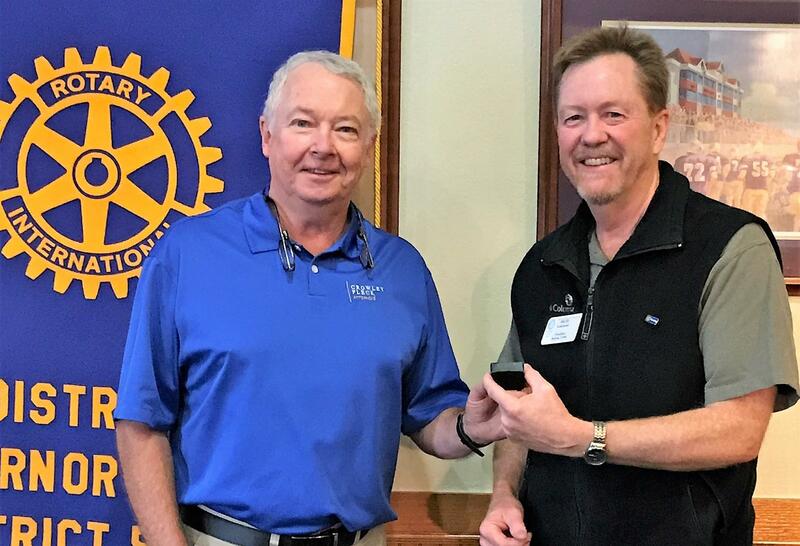 Rotary Club of Helena Sunrise honored Past President Brad Lancaster for his year of service by presenting Brad with a Paul Harris Fellow. During his year as Club President, Brad truly reenergized the Club. Through his leadership, the Club received a Governor’s Citation as Best Small Club Growth Award at the District Conference this year. Brad made membership his number one priority. 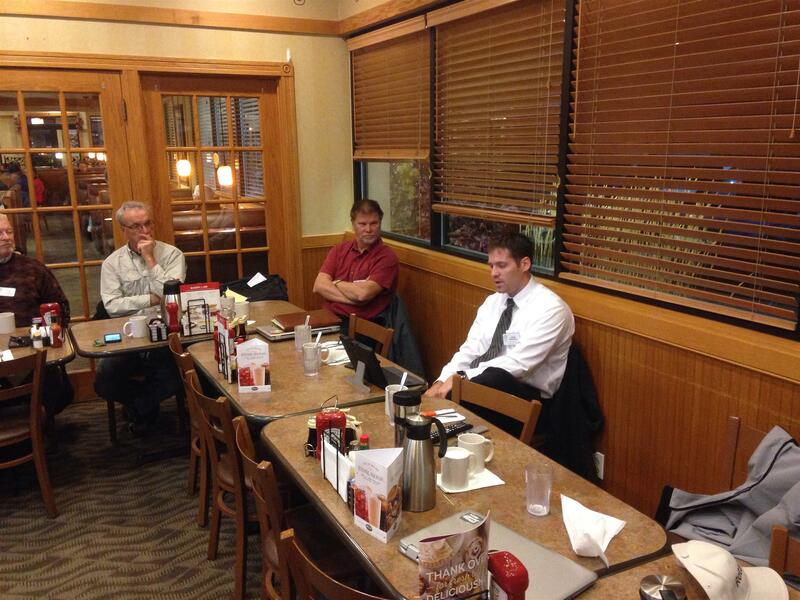 He started each meeting with “membership, membership, membership.” He asked members for prospective members. He took identified candidates for membership to lunch and told them about Rotary. During his year, the Club changed is membership from a gradual decline to a sharp increase. The Club went from 13 members at the start of the year to 21 members at the end of the year. And just as important, the diversity of the Club’s members shifted dramatically. From a club made up primarily of “old, retired guys,” the club went from 15% female to 30% female members. The club went from 46% of its members being retired to only 28% retired. Many of the new members are young members. Brad also encouraged members to contribute to The Rotary Foundation during his year as President. In fact, he made an online contribution as a Paul Harris Sustaining Member during one of our meetings, demonstrating to the Club members the way to make a contribution through the Rotary web site. A contribution to The Rotary Foundation is an investment in the ideal of good will, peace and understanding. That is an ideal held high by Rotarians the world over, and one that Brad clearly shares. Krys Holmes, Executive Director of the Myna Loy Center, was our speaker this week. Montana’s First Lady of Film was born Myrna Williams, on August 2, 1905, in Radersburg, Montana, 40 miles southeast of Helena. Her father, David Williams, served in the Montana state legislature. He was the youngest person ever elected to the Montana State legislature. At age seven, Myrna moved with her father, mother, and brother to Helena, where they lived on 5th Avenue, a few blocks from the Lewis and Clark County jail, which is now the Myna Loy Center. Krys told us that the Center was named after Myrna Loy because she had given almost everything she had to support the Arts. We all know the Myna Loy as a great movie theater, specializing in Indie films that would otherwise not be available to the Helena audiences. But she told us that the Myrna is much, much more. As a Center for the performing arts, the bring in many challenging and culturally enriching programs. They have an Art Education program that brings in artists to help inform students in Helena schools about the arts. They will also partner with other organizations to help them with their missions. For example, they recently partnered with the YWCA for a special showing of the film Suffragette, with the proceeds from the film going to the YWCA. They are one of the few organizations in the northwest that provide grants to aspiring artists, many of whom have gone on to become nationally recognized for their works. The Myrna Loy Center has been selected to participate in a multi-million dollar effort to build financial and organizational strength in the arts. The Myrna is one of only six arts organizations nationwide chosen for the program, called Leveraging a Network for Equity (LANE). They consider it the Myna Loy going to graduate school to become a better nonprofit organization. Our speakers this week were Michael and Josh Fuller, members of the Helena High School Speech and Debate Team. They have qualified for the National Speech and Debate Finals in Salt Lake City next month. The twin brothers will be presenting their Duo Interpretation, which is where two competitors team up to deliver a ten-minute performance of a published play or story. Using off-stage focus, competitors convey emotion and environment through a variety of performance techniques focusing on the relationships and interactions between the characters. No props or costumes are used. Michael and Josh selected a story about the Brothers Grimm fairy tales, and how they have been changed by Disney to be more vanilla flavored than the original versions. Their presentation was fun to watch! Since the Helena School District does not support travel for the Speech and Debate Team, they are raising funds to cover their cost of attendance at the national competition. 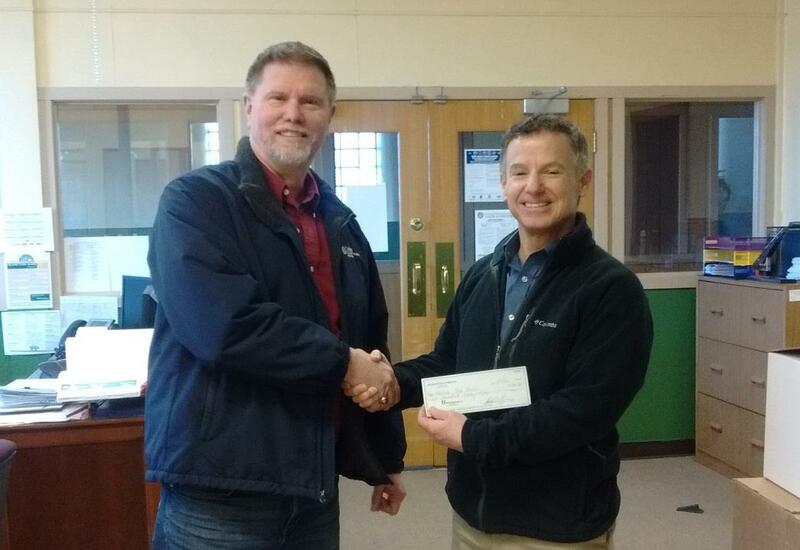 Greg Duncan presents a check for $255 to John Scharf, faculty adviser for the Carroll College Engineers without Borders, who were our supported charity for the April Trivia Night. We had a great turnout last night at our Trivia Night. The charity we are supporting this month is the Helena YWCA. With well over 60 people in attendance, we raised more than $600 to be split between the YWCA and our Club’s charitable activities. Thanks to all who attended last night! There were teams from the YWCA, Carroll College, Townsend Rotary, Helena Rotary, and others. This was the last Trivia Night for this season. We will start up again in September. Greg announced, Roy collected answer sheets, and Marie and Murray scored. Great teamwork! The Brainiacs were the winning team. Our speaker this morning was Kellie McBride, Executive Director of the YWCA. 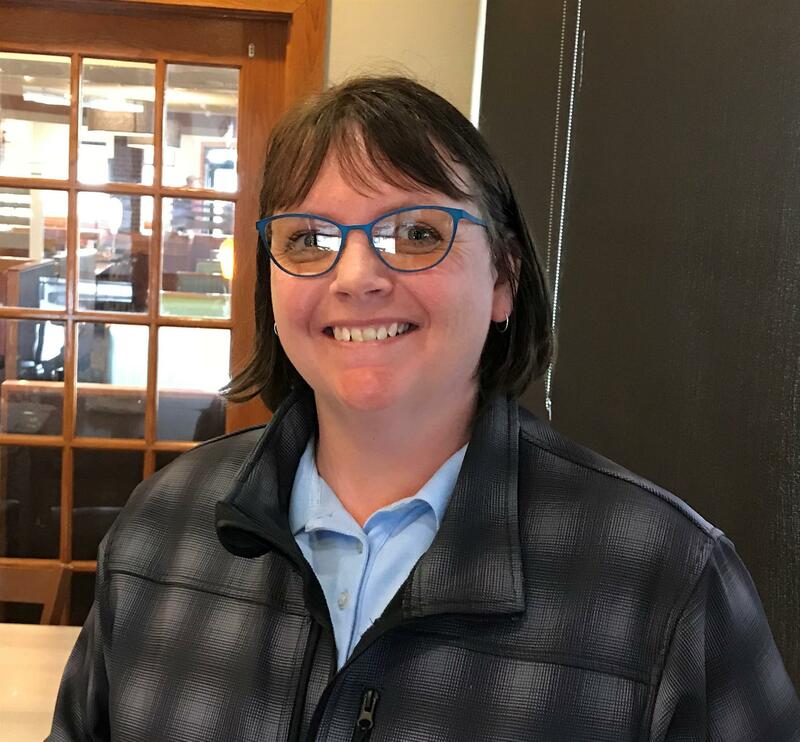 Kellie shared with us her excitement about having the historic YWCA renovated to modern standards to better serve homeless women in the Helena area. She invites everyone to tour their great new facilities on the twelfth of each month at noon – 12th at 12. Kellie also shared information about the many programs that they provide for women and children in the Helena area. The YWCA is the charity that we will be supporting this week at our Trivia Night. Come join us and help raise funds for this wonderful Helena institution. Thursday night at the Staggering Ox from 6 to 8 PM. 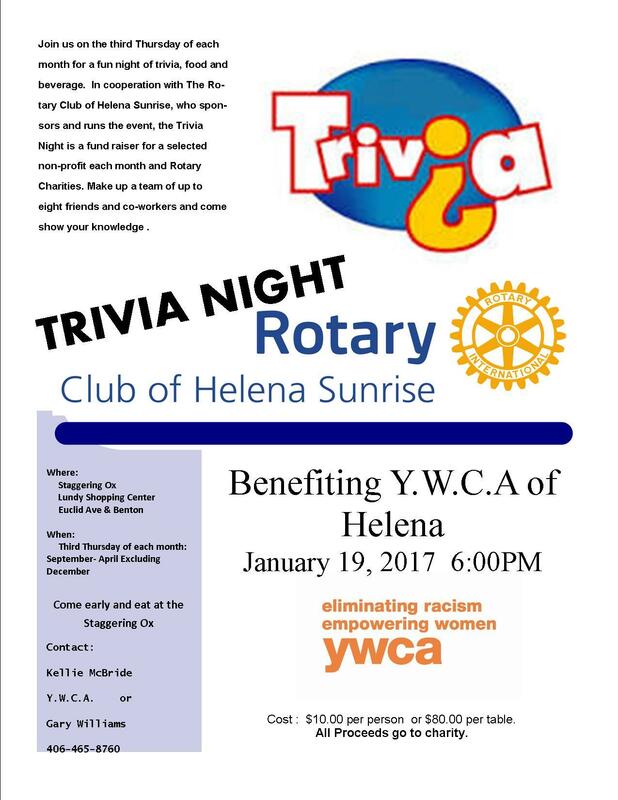 Please join us for Trivia Night to Benefit the Helena YWCA! Our Club had the pleasure of hosting the Tasmanian Professional Development Exchange Team this week. Team members include Ross (the Rotarian Team Leader), Allira (a police office), Sarah (a pharmacist), Simone (an outfitter/fishing guide), and Zac (a paramedic). They are truly a delightful group of young professionals. They provided us with an overview of themselves and Tasmania at our meeting. Sarah is a Rotaractor. Other team members indicated that the experience has taught them the value of Rotary, and look forward to becoming a Rotarian in the future. Ross and Club President Brad exchanged Rotary Club Banners. Ross then presented Brad with a Tasmanian pin depicting a kangaroo. 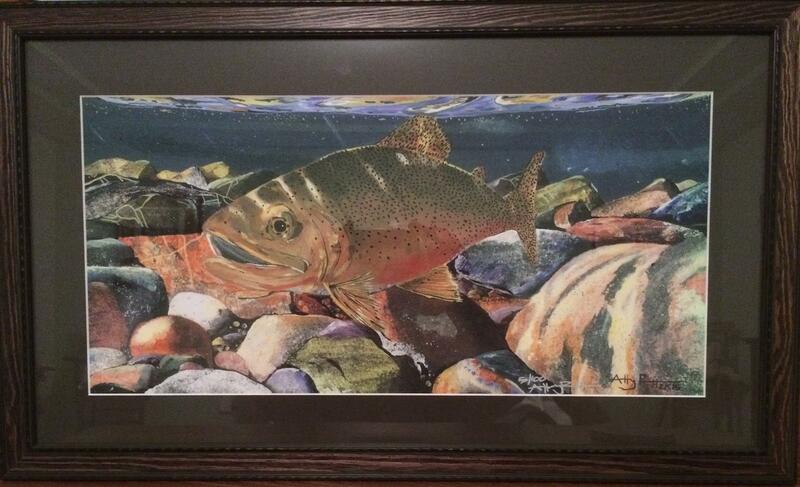 : Framed print called “Blackfoot River Native” numbered and signed with museum quality printing and paper. Artwork was done by Helena Sunrise Rotary’s own Tony Perpignano. Framing was commissioned and donated by fellow member, Gary Carlson. Gift basket includes an Igloo travel cooler, a perfect companion for your day out on the river, a Yeti can cooler and a Yeti stainless steel tumbler so if the fish aren’t biting at least your drinks will stay cold, along with a river rock necklace as memento of a great day fishing or as a gift for someone special who didn’t get to go. Dsitrict Governor Nominee Rick Moore received the Home Club Banner, which our club will display during the coming year. Rick will become District Governor in 2018. Our Club took home to awards at the District Conference – Small Club Membership Improvement Award and the District Governor’s Citation. The Governor’s Citation was awarded to clubs that accomplished the Governor’s goals set in the areas of Membership, Service, and the Rotary International Theme of “Be a Gift to the World.” The Membership Improvement Award was awarded based upon our Club’s net growth of 5 new members this year. Congratulations to our Club and to Club President Brad Lancaster for a very successful year! Our speakers this week were Carly Coligan, the President of the Carroll College chapter of Engineers Without Borders Chapter, and John Sharf, P.E., their faculty advisor. They shared information about their projects in Mexico, Guatemala, and St. Lucia. EWB-USA is an international, non-profit organization dedicated to improving the quality of life in developing countries through sustainable engineering projects. The Carroll College chapter includes students from many disciplines besides engineering. Carly is a nursing major, for example. She joined EWB because she has a strong desire to participate in international service projects. Carly was a member of an Interact Club in High School, and looks forward to getting involved with Rotary again in the future. Over the past eight years, CC-EWB members have established a strong and enduring relationship with the Santa Maria del Mexicana Orphanage near Colon, Mexico. There are currently two CC-EWB projects at Santa Maria. The first project was a waste-water treatment system that allows the orphanage to clean its waste-water. The second project was the development of a mile-long pipeline from a nearby reservoir to five local spice fields. By selling locally-grown crops/spices, the orphanage is able to pay for more of its kids to go to college. The next step was to install sprinklers and drip irrigation in the various fields. CC-EWB is currently working to reinforce the structures at La Asunción, the local school in Santo Tomás La Union, Guatemala. In the event of an earthquake, the prior to reinforcement, the buildings were at a very high risk of collapsing. CC-EWB’s first trip to St. Lucia in January 2015 was an assessment trip. The goal was to ascertain the problems with the Marian Home's water system and then draft alternative designs based upon observations made on trip as well as community input. Future trips will involve the implementation of our improved system as well as monitoring of it. 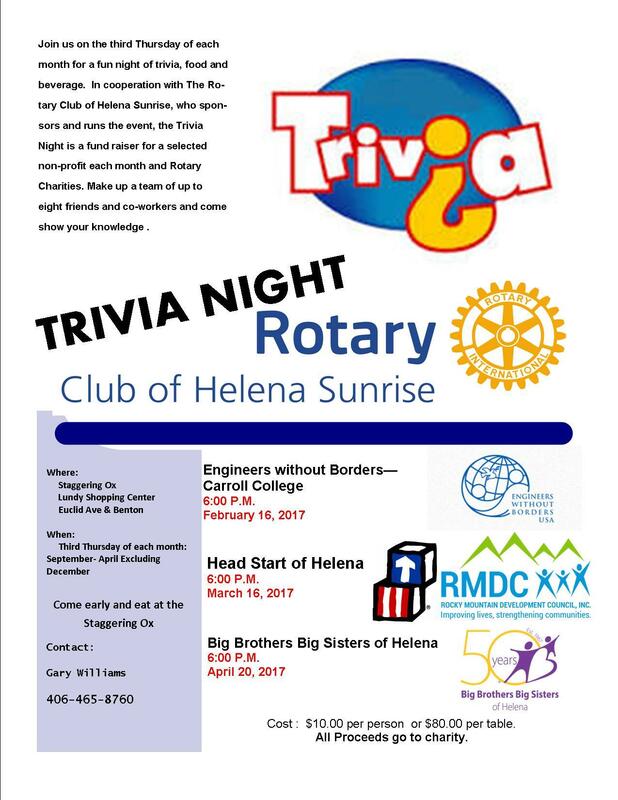 Engineers without Borders will be Rotary Club of Helena’s partner in Trivia Night on April 21st at the Staggering Ox. The event starts at 6:00 PM, and will raise funds for Engineers without Borders and our Club’s charitable activities. Please join us for Trivia Night to support Carroll College chapter of Engineers without Borders! Our speaker this week was Jeannie Huntley, Founder and Chairwoman Emerita of Splashes of Joy. This is a Montana-Based, nonprofit organization that provides gifts and services to ill or homebound people. They help rekindle their internal joy that may have been temporarily lost in the maze of illness or age. Services provided by their volunteers include creating homemade cards, home visitation, house cleaning, landscaping, meals, small home repairs, and prayer support. Local businesses donate a variety of products ranging from landscaping materials, flowers and balloons to massages, manicures and haircuts. In the past six years, they have served 0ver 160 recipients, their caregivers and members of their families. This included over 2,700 hand crafted cards, over 1,600 home-cooked meals, thousands of dollars of donated landscaping work, household and pet help, balloons, flowers and gifts. They have provided wigs for those losing their hair during chemo and helped others with items not covered by insurance. Their Annual 2016 Spring Gala will be held on April 23rd, from 6 p.m. to 9 p.m. at the Radisson Colonial Hotel in Helena. Individual tickets cost $45. Please consider going to this event to support a great organization here in our community. Tickets are available at Leslie’s Hallmark or by calling (406) 459-5652. 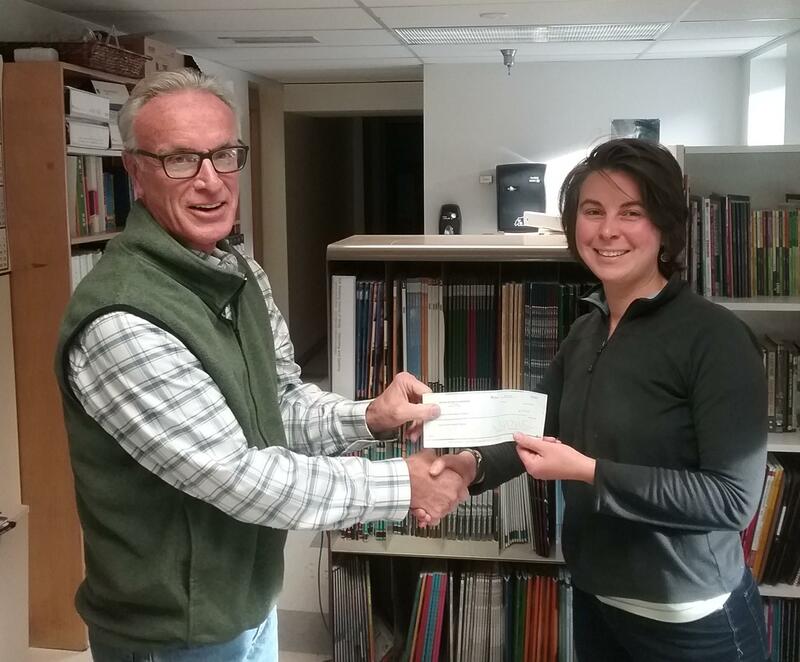 Dan McLean presents Michelle Potts, Development Director for Montana Legal Services Association with a check from Helena Rotary Foundation to from the proceeds of March 19 Trivia Night. Congratulations MLSA! One of Tony’s passions is fly fishing. For over thirty years he has been chasing fish all over rivers in the Northwest. Occasionally he takes time out from the river and picks up a brush to capture some of these events. 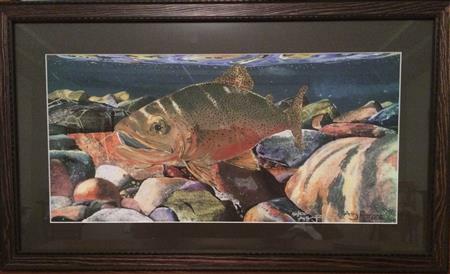 The subject of this piece is one of Montana’s treasures, the beautiful Westslope Cutthroat Trout. The Westslope has called Montana home since the last ice age but now it is mostly protected in its remaining habitat. Here we are down at the fish’s eye level, getting a glimpse of its home. 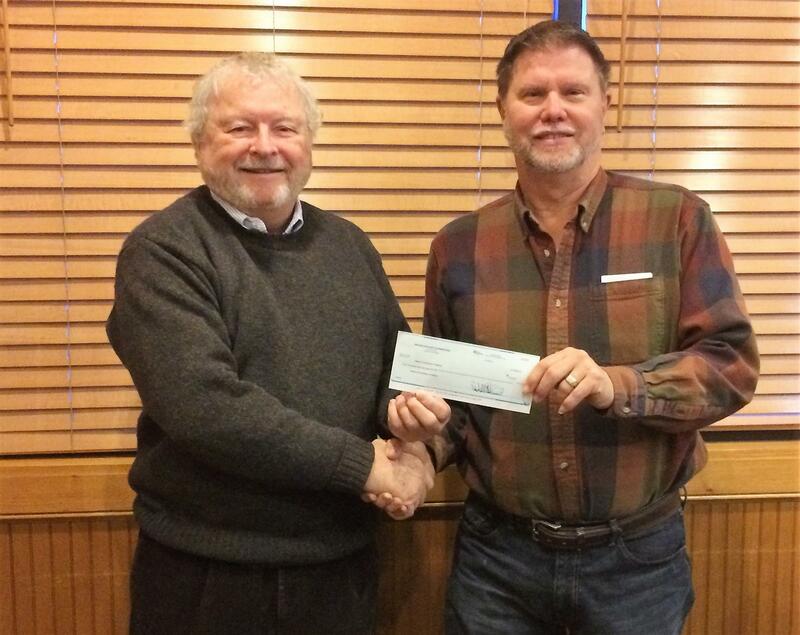 Rotarian Gary Williams is shown presenting a check for $250.00 to Helena Food Share Director Bruce Day as part of the proceeds from the January Trivia Night held to benefit Food Share. 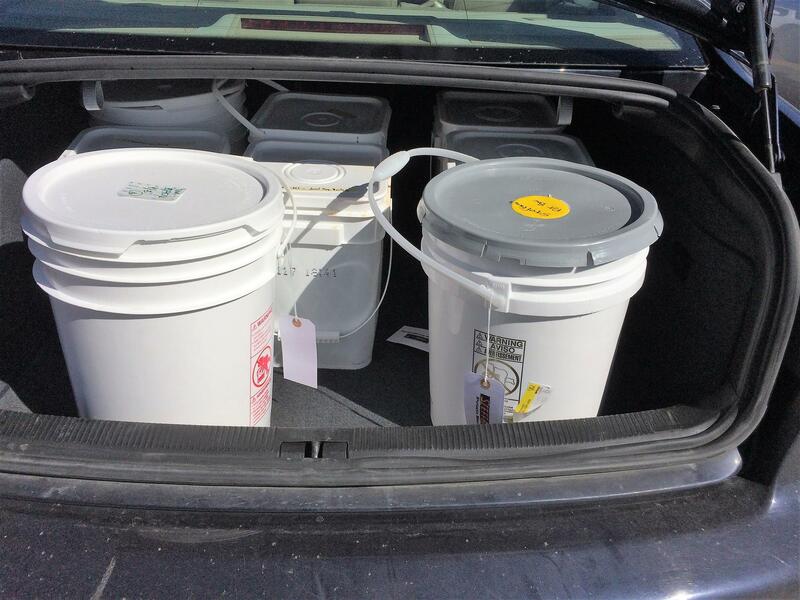 Thanks to Helena Food Share for being an important part of helping our neighbors in Helena put food on their tables. This week we inducted Murray Strong as the latest new member into our Club. Murray is an environmental engineer. Welcome Murray! Our speakers this week were Carly Delsigne, Director and Jane Hamman, Chair of the Board from the North Jefferson County Library District. They told us about the history of the library district, from its genesis as a volunteer operated, small lending library to a full fledged library district. The first library in the District opened in the “Little Red Schoolhouse” in Clancy. Much of the work to convert the space into a useable library was accomplished through collaboration with businesses in the area. It is now under renovation with a new floor. The District recently opened a library at Montana City. Our Club donated books and funds to the District last Fall under District Governor Bill and Mary Lou Spath’s Literacy Project. 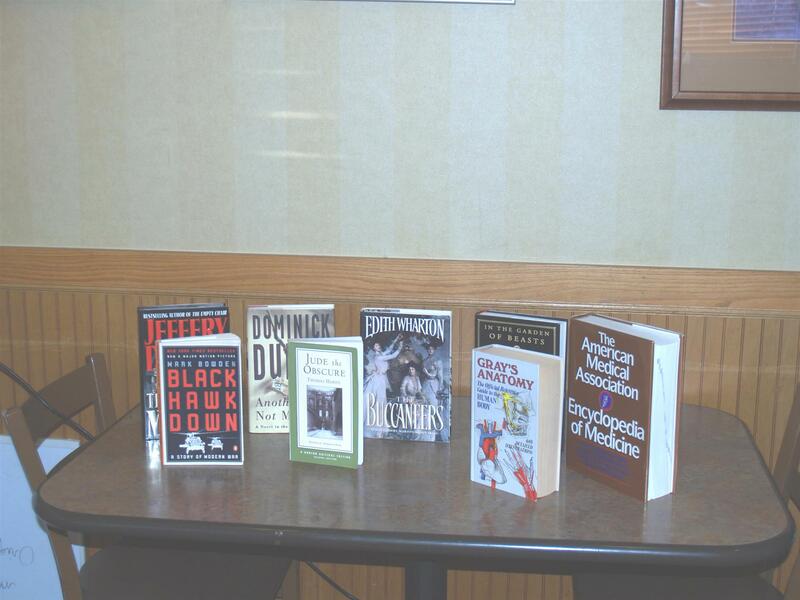 Club members donated five more books this week. February Trivia Night at the Staggering Ox. Please join us for Trivia Night on February 18 at the Staggering Ox. The Salvation Army is our charity for this month. We had a wonderful time at our Club Social last night, which was hosted by Russ Cargo in his beautifully restored and renovated 1890's mansion. Food was great - provided by Bad Betty's BBQ. The highlight of the evening was Russ describing the history of his home, followed by a tour. The third floor turret has a fun mural painted on the round walls and ceiling. The walls depict an underwater scene, with various aquatic life. When you look up at the ceiling, you see the surface of the water as seen from below, complete with the bottom of a boat above your head. Check out the photo album for all the pictures. One of their signature projects has been the “Mt. Ascension Natural Park Expansion Project: The Backdrop Initiative.” Mt. Ascension and Mt. Helena provide a stunning natural backdrop to the State capital. To preserve this backdrop in its natural state, PPLT has been working since 2006 to acquire the private land inholdings on Mt. Ascension to place them in public ownership to prevent future development. They recently acquired that last four parcels necessary to preserve the backdrop. PPLT has also been involved in the development and maintenance of numerous trails in the Helena area. They recently worked with other partners on the Centennial Trail Extension. This extension of the trail will connect the Montana Wild Center on Broadwater Avenue to the existing trail. This extension will soon become a reality. They have recently initiated a study for the possible greenway linking Montana City with East Helena. This trail would follow Prickly Pear Creek, and take advantage of the existing trail along the creek at Ash Grove’s Sunderlin Park. PPLT is preparing to celebrate its 20th Anniversary! They will be celebrating this milestone during the coming year. Information about upcoming events, trail maintenance schedules and their projects can be found at www.pricklypearlt.org. Prickly Pear Land Trust Director Mary Hallow showing the proposed route of the Greenway between Montana City and East Helena. Mary and Rotarian Gary visit after the meeting. 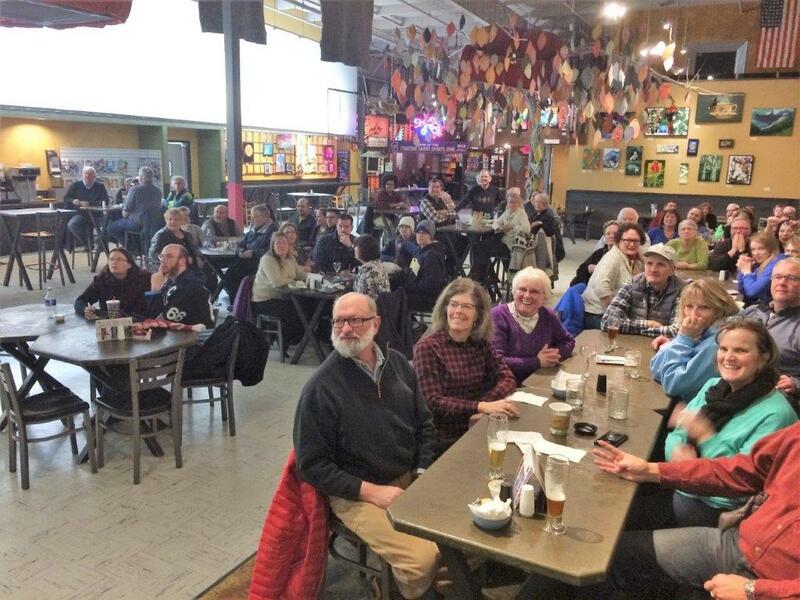 We had a great Trivia Night at the Staggering Ox to benefit Food Share Helena. Over 50 people turned out to play Trivia and to support Food Share and the Helena Sunrise Rotary Club's charibable activites. We raised $490, with $250 going to Food Share and the rest to our charitable activities. In a very tight finish, Food Share team won the event, taking home a $40 Gift Certificate to Food Share. Thanks to all the teams that contributed to this great event. Special thanks to the Townsend Rotary Club, who brought 10 Rotarians from Townsend to compete on two teams. Our speaker this morning was Kim Gardner, Lead Clinical Supervisor for Community Services Programs of Intermountain, which is a visionary non-profit agency that has been impacting the lives of children and families in Montana for more than 100 years. With holistic, integrated services and a relationship-based approach, they help families create and sustain nurturing, healthy environments where children can thrive and grow. They offer a wide range of residential and outpatient services in the Helena area. Learn more about their programs at www.intermountain.org. 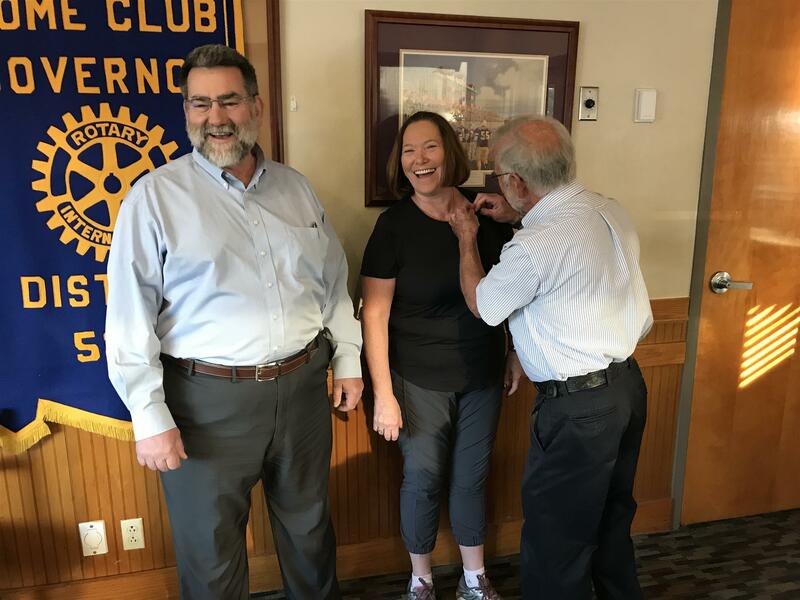 President Brad Lancaster presents new member Marci Williams with her Rotary Pin and Helena Sunrise Rotary Club name badge. Marci is the Development Coordinator for Big Brothers Big Sisters of Helena. Our speakers at our meeting this week were Jen Euell and Kelsey Mahoney of the Women’s Foundation of Montana. The Women’s Foundation of Montana’s work benefits women and girls as well as our communities overall. As the only statewide fund dedicated to funding for women and girls, donations are leveraged through an endowment. Their research, initiatives and grant-making are focused on lasting change for women and girls. Issues that they address include closing the gender pay gap, increasing financial independence for Montana women and girls, and tracking the status of women in Montana. A recent project is Powerhouse Montana, an initiative with the goal of connecting Montana women with the resources, mentors and opportunities they need to create thriving businesses and thriving lives and increasing the number of Montana women in leadership roles. The web site for this initiative is www.PowerHouseMT.org. We had a great turnout for our Trivia Night benefiting Big Brothers/Big Sisters. Around 70 people joined us for a night of fun. As you can see from the photos, people of all ages joined us. We raised $550 to be split between Big Brothers/Big Sisters and our Club’s charitable activities. The winning team was Big Brothers/Big Sisters. The team decided to donate the prize of a $40 gift certificate to the Staggering Ox back to their organization. This will be used to allow “Bigs” to take their “Littles” to the Staggering Ox for a lunch out! Thanks to all who participated. We will take a short break next month, and resume our Trivia Night on January 21st. Food Share will be the beneficiary that month. We hope to see you there! To see more photos, click on the link for the photo album to the right. 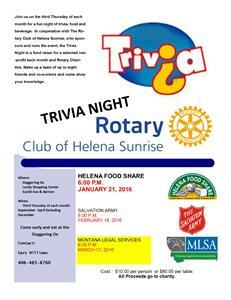 The Rotary Club of Helena Sunrise took our award winning Trivia Night on the road this week to Townsend. In a joint project with the Townsend Rotary Club, we put on a Trivia Night at the American Legion Post. Over 70 people showed up to support the charity Fun for Life, a nonprofit Broadwater County organization that grants scholarships to local youths interested in studying music, art, theater and foreign language. The Townsend Rotary Club provided chili and snacks for the participants. Teams representing the many aspects of Townsend included the Townsend Rotary Club, Townsend Electric, Broadwater County 4-H Council, BHC Auxiliary, Broadwater Health Center, Broadwater Democrats, Townsend Schools and the Townsend Lions Club. Special guests included Montana Rotary District Governor Bill Spath and his wife Mary Lou. Through the player registration fees, we raised $710. Anonymous donors “B” and “P” promised to match additional donations up to $200. The participants quickly filled the donation bowl with ones, fives, tens and twenties, donating another $250! We raised $1,160 for Fun for Life in one evening of fun and games. The Townsend Rotary team won the trivia contest, taking home a gift basket full of delectable goodies. Special thanks to Townsend Rotarian Nancy Marks for managing the event, and to the 7 Helena Sunrise Rotary Club members who took the trip down the road to Townsend to put on Trivia Night in Townsend. 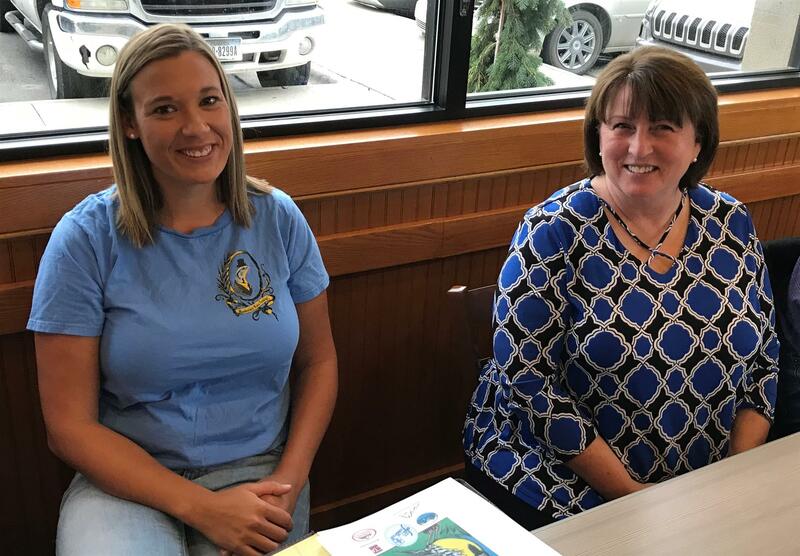 Our speakers this week were Colleen and Marcie, representing Big Brothers/Big Sisters of Helena, which is the charity that the Sunrise Rotary Club of Helena is supporting with our Trivia Night this week. Big Brothers/Big Sisters provides one on one mentoring of children, pairing a “Big” with a “Little” for quality time together. Their Mission is to provide children facing adversity with strong and enduring one to one relationships that change their lives for the better. Started in Helena in 1967, Big Brothers/Big Sisters of Helena expanded to include Boulder in 2011. They currently serve an average of 120 children in the community based program and 200 children in 9 local elementary schools and 2 middle schools in the school based program. 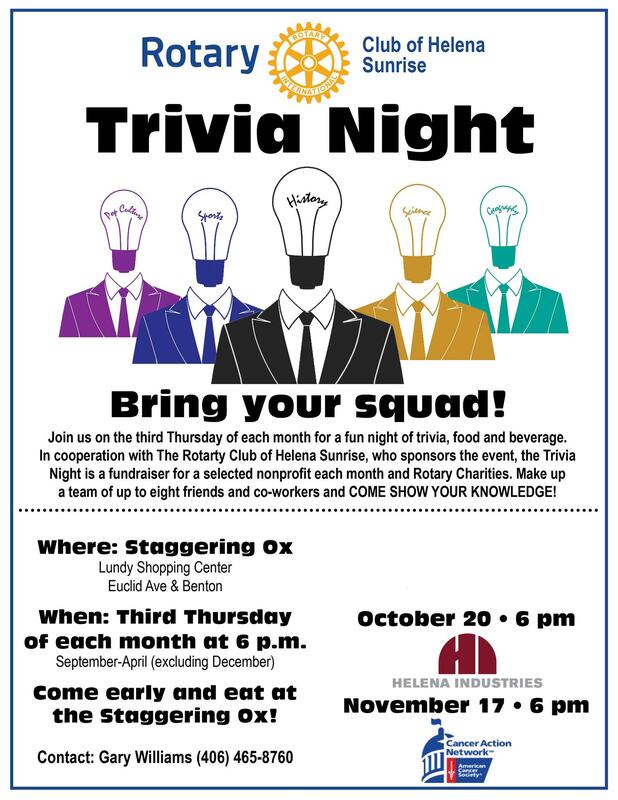 Come out Thursday night to the Staggering Ox for a great night of fun at our Trivia Night, and support a great organization. 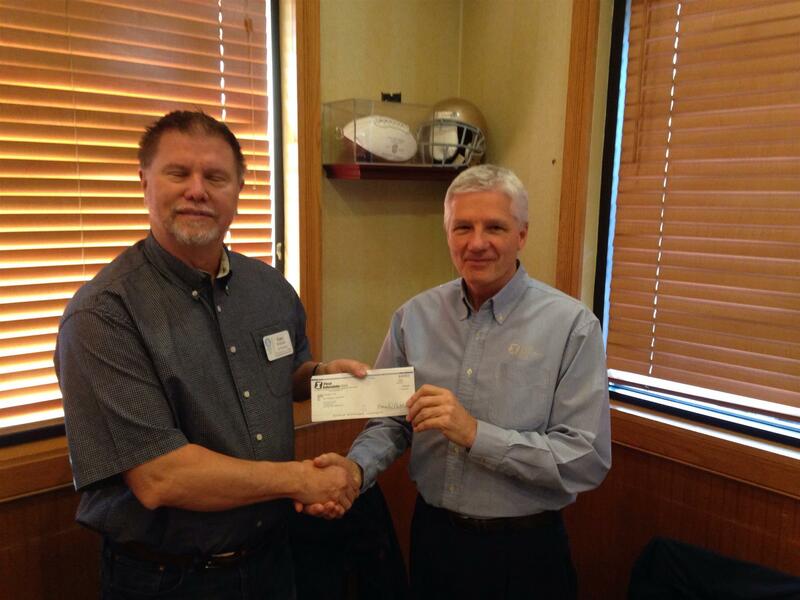 Tony Perpignano presents Helena Industries Director Russ Cargo with a check from the Sunrise Rotary Club of Helena. 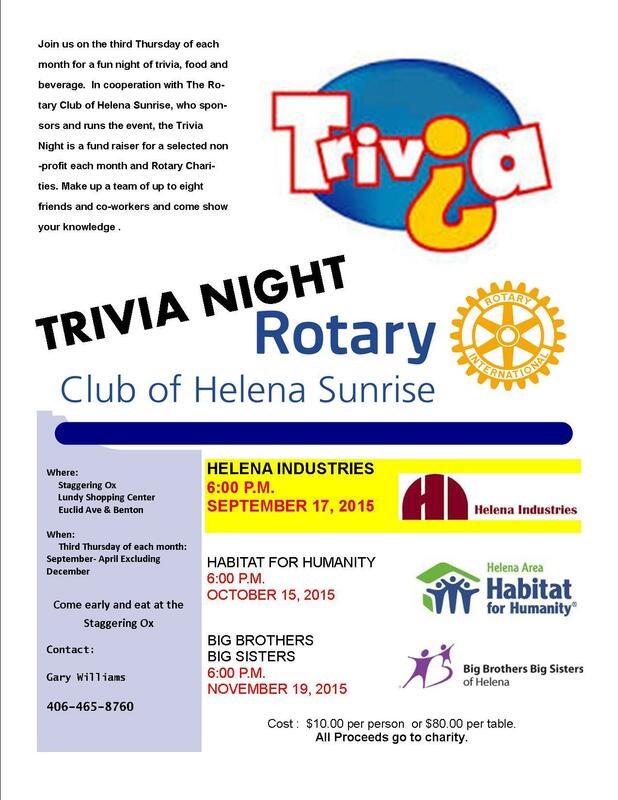 Helena Industries was the Charity we supported with our September Trivia Night. Oscar told us about his home in Taipei, Taiwan. The presentation included a description of Taiwan, their customs, foods and holidays. He also introduced us to his family and his school. The Helena Sunrise Rotary Club presented a check to Montana District Governor Bill Spath and Past District Governor Roy Beekman for the Montana Rotary District Dictionary Project. We decided to double our contribution to the Dictionary Project this year to help make of for the increased cost of dictionaries. We hope that other Montana Rotary Clubs will follow our lead on this and help prevent any shortages of dictionaries this year. 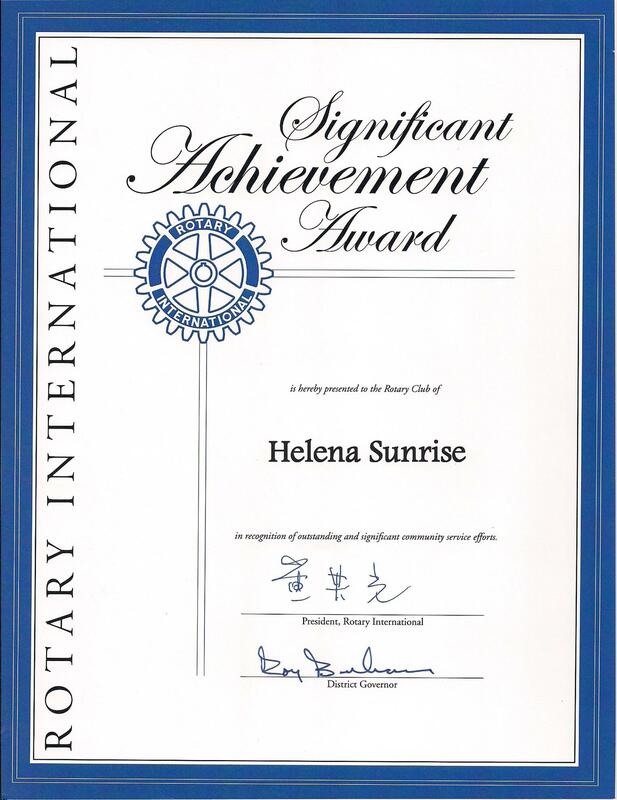 Rotary Club of Helena Sunrise receives the Rotary International Significant Achievement Award for its Trivia Night. Past Montana Rotary District Governor Roy Beekman presented the award on behalf of Rotary International Past President Gary C.K. Huang. This award recognizes a Club for a project that addresses a significant need in the local community, involved most or all of the club’s members in personal rather than monetary service, enhanced the image of Rotary in the community, and been able to be emulated by other Rotary clubs. A Rotary District may only nominate one Club from the district to be considered for this prestigious award. 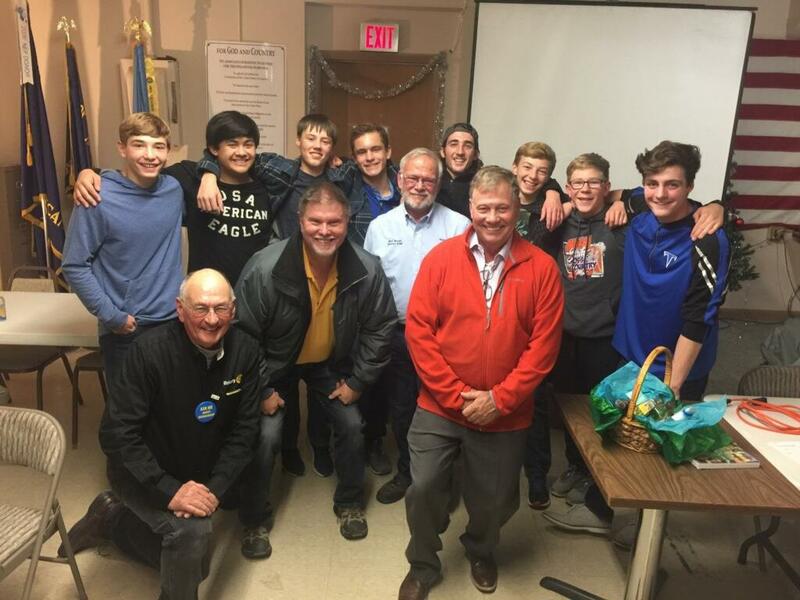 Past District Governor Beekman said that he received seven nominations from clubs in Montana for his consideration. 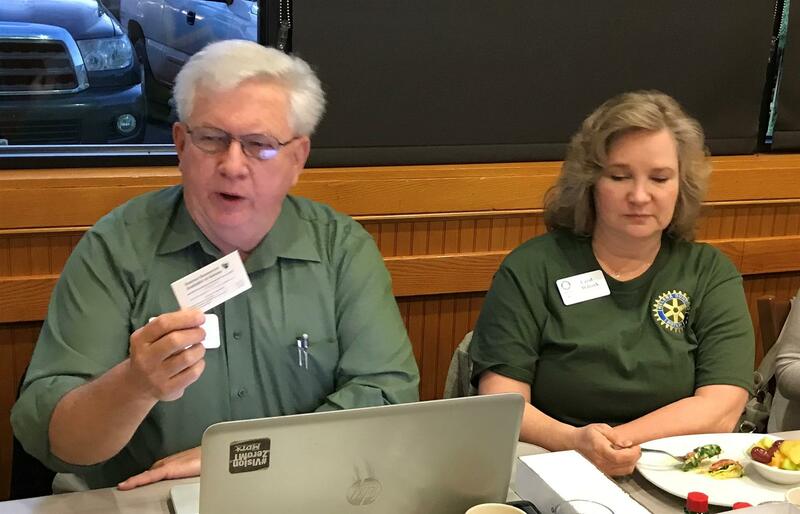 The Helena Sunrise Rotary Club’s Trivia Night was the unanimous choice by the selection committee that he appointed to select the nomination for the award from Montana. Rotary International makes the final selection of Clubs to receive the award each year. Out of 33,000 Rotary Clubs worldwide, Rotary International only selects between 150 and 200 clubs each year to receive this award. The only other time a Montana Rotary Club received a Significant Achievement Award was in 2004 when the Red Lodge Rotary Club received the award. This month we are supporting Habitat for Humanity. Please come out and support this great organization. 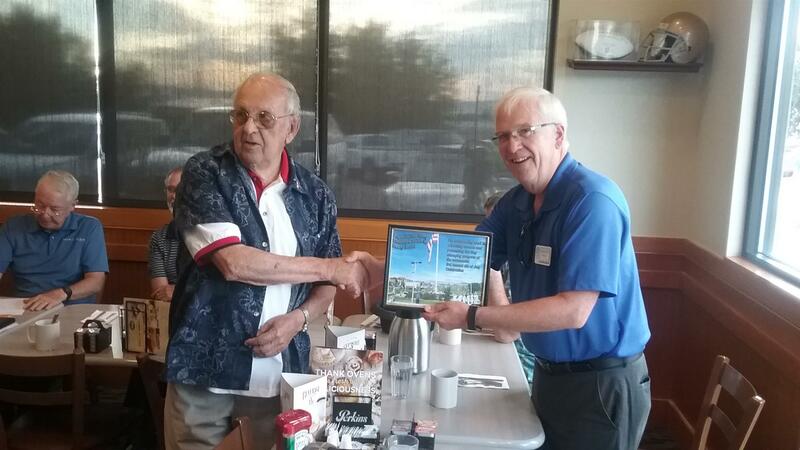 Assistant Governor Rick Moore inducted Russ Cargo into the Rotary Club of Helena Sunrise at our meeting this week. Russ was sponsored by Tony Perpignano. 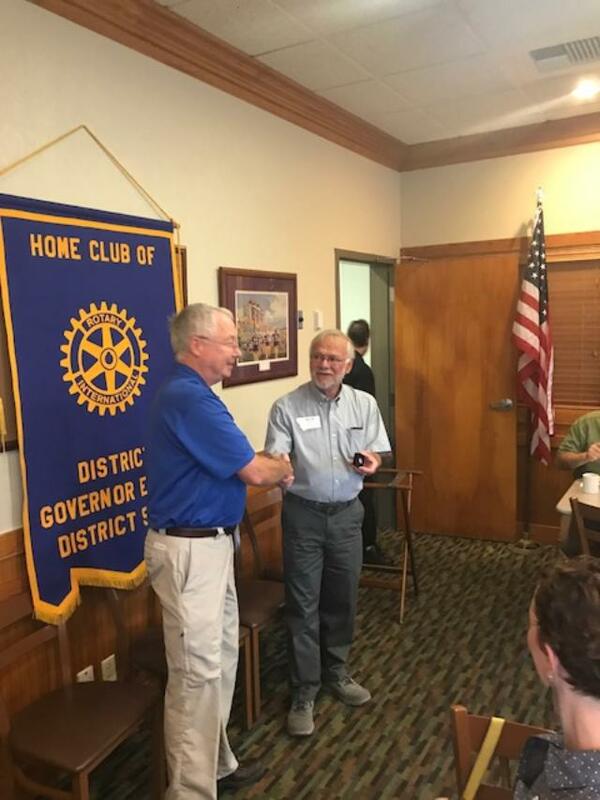 Tony presented Russ with his Rotary Pin. 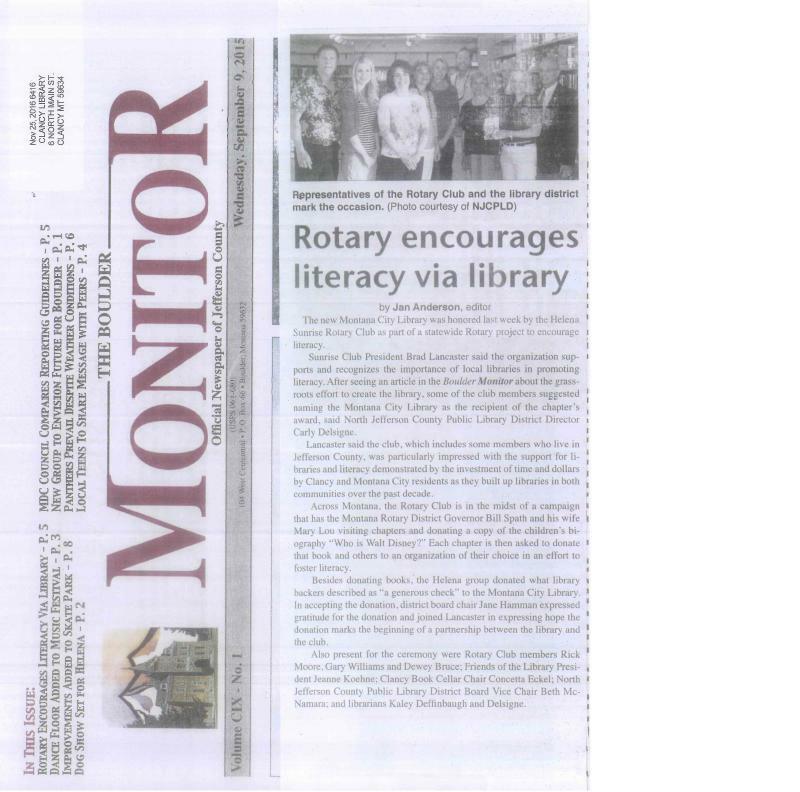 District Governor Bill Spath and Mary Lou's visit to the Montana City Library as part of their District 5390 Literacy Project made the front page of the Boulder Monitor this week. Great publicity for their Literacy Project, for Montana Rotary, the Helena Sunrise Rotary Club, and the North Jefferson County Library District. Lou.” Our Club was provided with 20 labels to place in books that we donate. District Governor Bill and Mary Lou's Label for Donated Books. This week we welcomed new member Adam Klippenstein to our Club. Adam was sponsored by Roy Hockett. Assistant Governor Rick Moore presented Adam with his Rotary Pin and new member welcome packet. 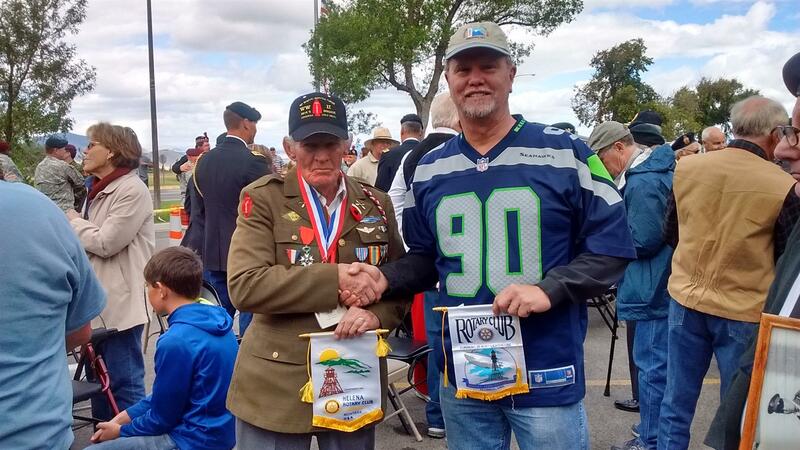 On Saturday August 22nd, members of the First Special Service Force from WWII were in Helena for the annual memorial to the FSSF members who lost their lives in the European Theater during WWII. The First Special Service Force, which became the "Green Berets" trained in Helena prior to their deployment in WWII. 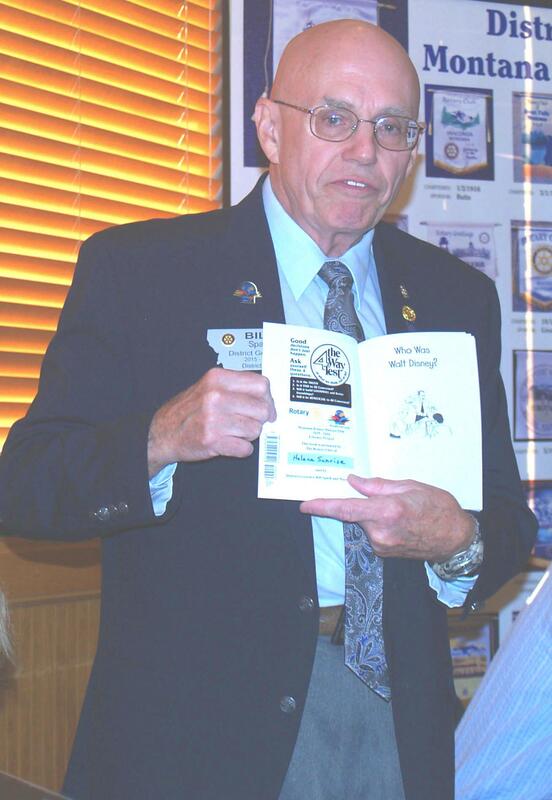 One of those in attendance was Fred Conrad , a Rotarian from Pompano Beach Lighthouse club. Fred wanted to exchange club banners and was met at the ceremony by Gary Williams to facilitate the exchange. Our thanks goes out to these veterans who fought to keep our country free. Have a safe trip home to Florida. Three RYLA campers and their parents and grandmother attended our meeting this morning to share with us their experience at RYLA this summer. All three campers told us that they were somewhat hesitant about attending, but by the end of the week they didn't want to leave. This year the Helena Sunrise Club sponsored two campers and the Helena noon club sponsored three campers. We are pleased to announce the Fall Schedule for our popular Trivia Night at the Staggering Ox. Join us every third Thursday from 6:00 PM to 8:00 PM for an evening of fun! Our speaker this morning was Bill Woon. He is the son of one of the original members of the First Special Service Force. He told us about the history of the unit, which began its training at Fort Harrison in Helena. Townsend Rotary Club came with a team to support our Trivia Night. The Noon Rotary Club Supported Trivia Night with two teams. 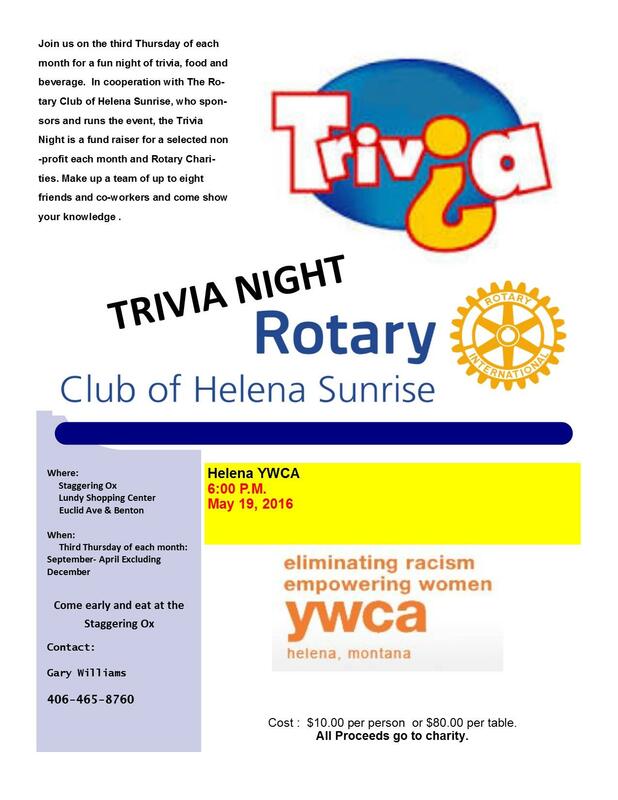 The Helena Sunrise Rotary Club Trivia Night on January 15th, 2015 had a great turnout! Our Partner for the event was Head Start. We raised $560 to support Head Start and the Sunrise Club’s charitable activities. The Townsend Rotary Club brought a team to the event. Their enthusiasm and humor added to the event! Many thanks to the Townsend Rotarians who made the trip up to Helena. The winning team was “Tequila Mockingbird,” representing the Helena Noon Rotary Club. They received a gift certificate to the Staggering Ox. Thanks to all who attended and supported this great event! 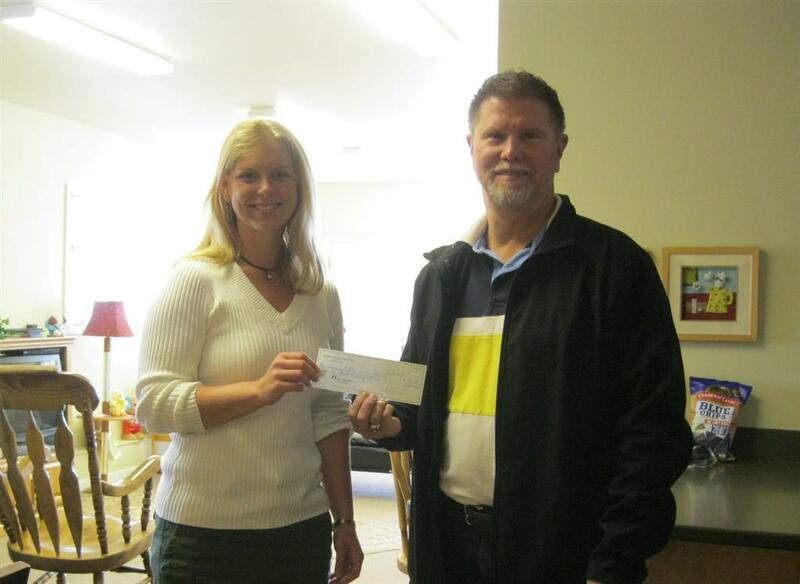 Gary Williams is shown presenting a check for $270.00 to Abbie Chermack of Helena Family Promise. The donation was raised at the Trivia Night held on March 27 at the Staggering Ox. Janet Herold and Tony Perpignano present a check for $370.00 to Penny Cope of the Greater Federation of Helena Women's Clubs as their portion of the Trivia Night proceeds from February's Trivia Night fundraiser. A special thanks goes out to Janet Herold who prepares the Power Point presentation we use each month for the Trivia Night. Rotarian Gary Williams presents a check to Lt. 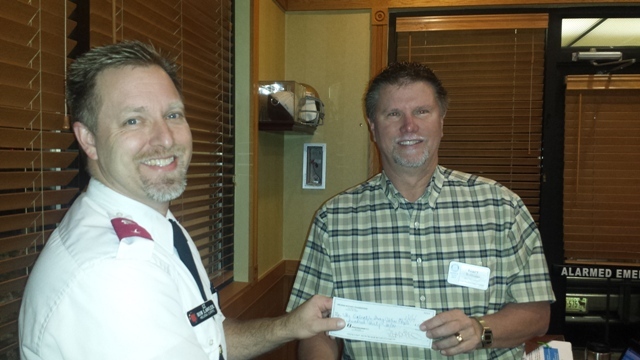 Rob Lawler of the Salvation Army for $430.00 that was raised by the Sunrise Club at their Trivia Night in January. 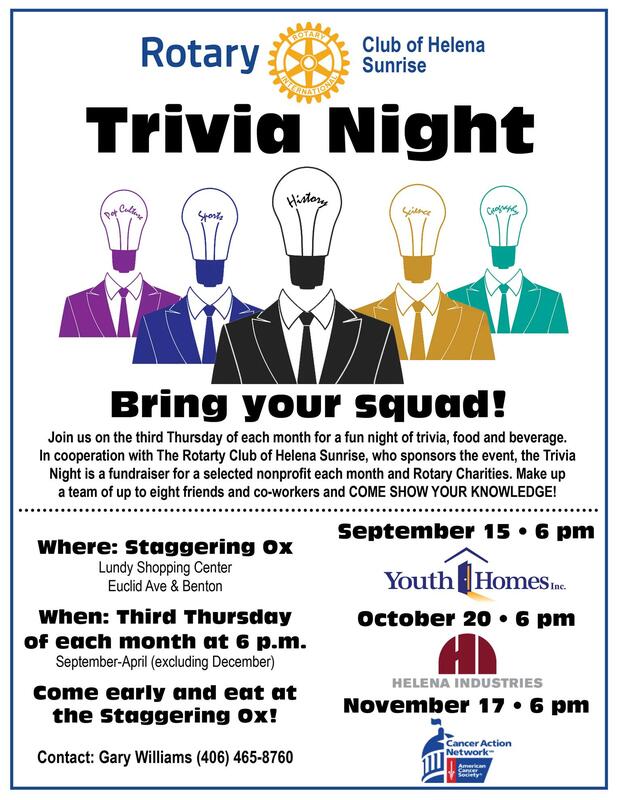 Trivia Nights are held once a month at the Staggering Ox October thru April. 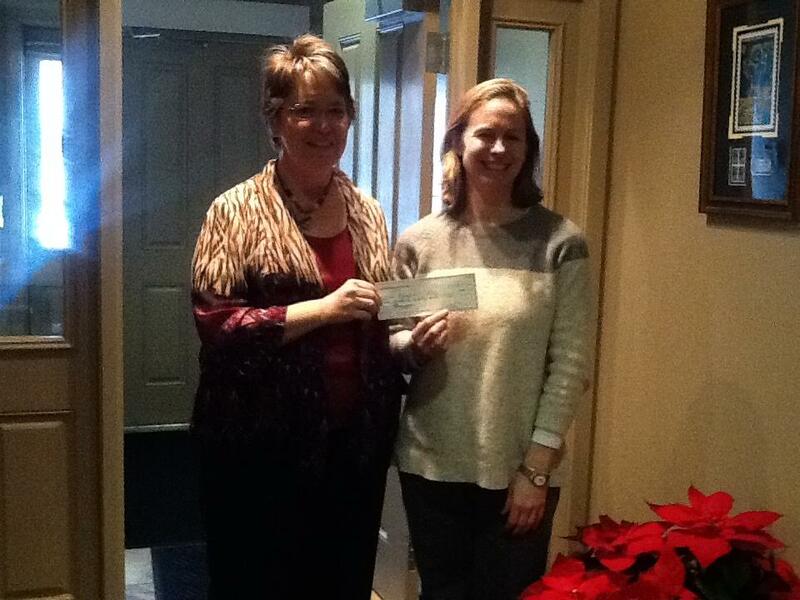 Rotarian Marie Mullarkey is shown presenting a check for $600.00 to the Helena Friendship Center. Additional Trivia Nights are scheduled for this Winter and Spring. 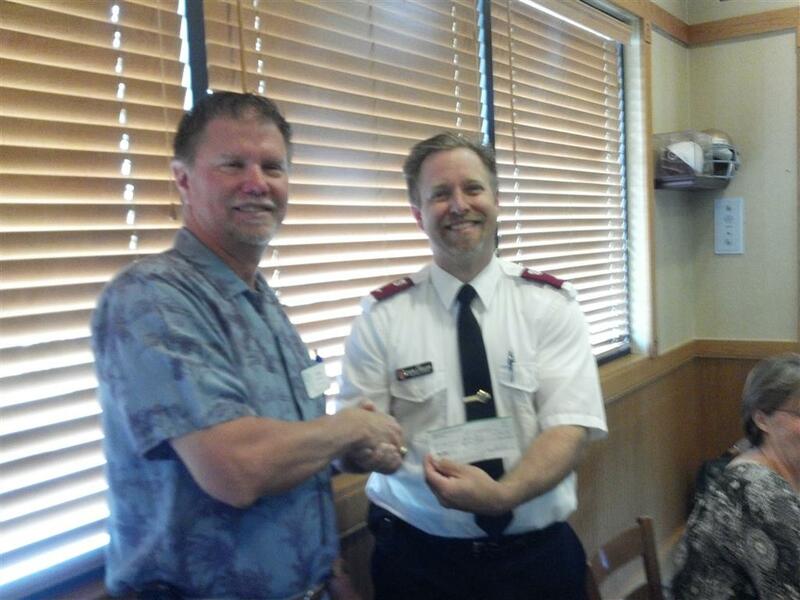 Rotarian Gary Williams presented a check to Rob Lawler of the Salvation Army for $500.00 to assist in funding the Men's Transitional Center now being constructed by the Salvation Army. The funds were raised by the Sunrise Rotary Club at a Dessert Auction and Social held earlier this last year. Rob Lawyer is also a member of the Sunrise Rotary Club, and the two service organizations have worked together in the past during the annual Red Kettle drive and on other projects as well. Helena Sunrise sold tickets at the Carroll College Home Football Games $1000 for Polio Plus and $300 Carroll College Athletics Fund.Judy Simmons is the winner of the Quilt. Our speaker this morning was Holt Gibson, President of the Helena High School Speech and Debate Team. A very dynamic young man. Their team has qualified three people to compete in the National Competition in Dallas this summer. They need to raise funds to cover the costs of their attendance at the tournament. They are selling raffle tickets and accepting contributions as well. They have almost reached their goal, but need a few more dollars. Our Club is the Best Small Rotary Club in Montana! Montana Rotary District Governor Roy Beekman named the Rotary Club of Helena Sunrise as the Best Small Rotary Club in Montana at the District Convention in Kalispell. Governor Beekman said that the award was, "Well deserved." He had special praise for the Club's Trivia Night, which raises funds for local charities and the Club's charitable activities. He noted that Trivia Night also is a great public awareness tool that "Lights Up Rotary" in the community. Assistant Governor Rick Moore presented the award to Club President Belle Marie on behalf of Governor Beekman. Posted by John A. Palmquist Jr. Matching Grants-One of the most rewarding programs of the Rotary Foundation is Matching Grants, which assists Rotary clubs and districts in conducting international service projects. Since 1965 more than 24,000 grants have been awarded for projects in nearly 170 countries totaling more than US$243 million. Rotary Youth Leadership Academy (RYLA) Each year thousands of young people are selected to attend Rotary sponsored leadership camps or seminars held in districts throughout the world. In an informal atmosphere groups of outstanding young people ages 14 spend several days in challenging program of leadership training. The RYLA program was began in Australia in 1959. The RYLA camp is held at at Luccock Park, United Methodist Church Camp, Livingston, MT. Women in Rotary-1989 Council on Legislation changed the RI Constitution voted to eliminate the "male only" provision for all of Rotary. This morning we presented a check to the Helena General Association of Women's Clubs for their Placer Pantry. This is their share of the proceeds from our last Trivia Night. President Belle Marie presented a check to Youth Connections Director Coleen Smith. Youth Connections was the charity that we selected to participate in our Trivia Night in March. This morning we welcomed Karin Janssen into our Club! Assistant Governor Rick Moore sponsored Karin's membership into Rotary. He presented Karin with her Rotary pin. Welcome Karin to the fellowship and service of Rotary. Our speaker this morning was member Rob Lawler, Director of The Salvation Army. Rob told us about The Salvation Army's Transitional Housing Program. The Salvation Army is the charity that we are supporting this week at our Trivia Night. It should be a fun evening with a lot of people attending. Come join us at the Staggering Ox, Thursday, February 19th from 6 to 8 PM. For the past decade, Rotary membership has lingered around 1.2 million. That means for every person who has joined in the past 10 years, another person has left. Todays numbers show Rotary is not only stagnant but in decline in many years.Our membership total as of 1 July 2013 was 1,185,000-lowest figure n almost a decade. What are we doing about it? In this issue, we talk with RI Ron Burton about the challenges facing the organization and the $3 million effort to help clubs get and keep members. We explore the four pilot programs that 700 clubs around the globe are testing to keep current members engaged and attract others. We also talk to leaders in areas where Rotary is growing rapidly and ask, "whats your secret" Read on to find out what they say and get ideas to grow your club. See attached Goals for 2014-2015 which may be used at P.E.T.S. in Denver this year. Document may still be altered with Board input and approval. 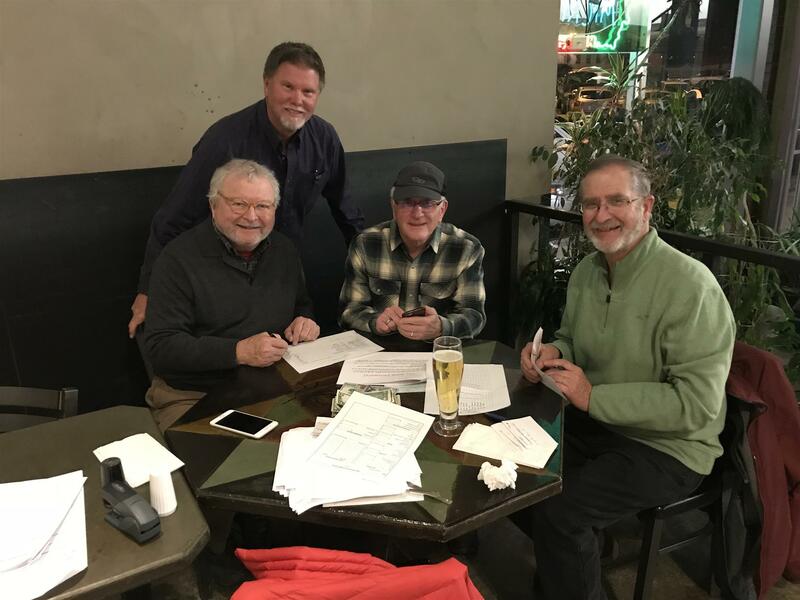 · Ongoing use of Trivia Night as fund raisers for charitable giving and club projects. Trivia Nights are already scheduled for Winter of 2014 - plan to resume again in Fall 2014 thru Winter 2015. · Plan for a Fall Club Social as a fund raiser. · Re-establish the use of the Weekly Bulletin with new, fresh information each week. 5. Better understand the Rotary International Grant Application process and identify future projects to participate in. 6. Define Participation in the Elementary Student Dictionary project. Further identify if Lions Club will be working on this or if Helena will be a Rotary project. which identify and promote Rotary participation. 8. Continue formal, printed agendas for use by Presiding President for all meetings. 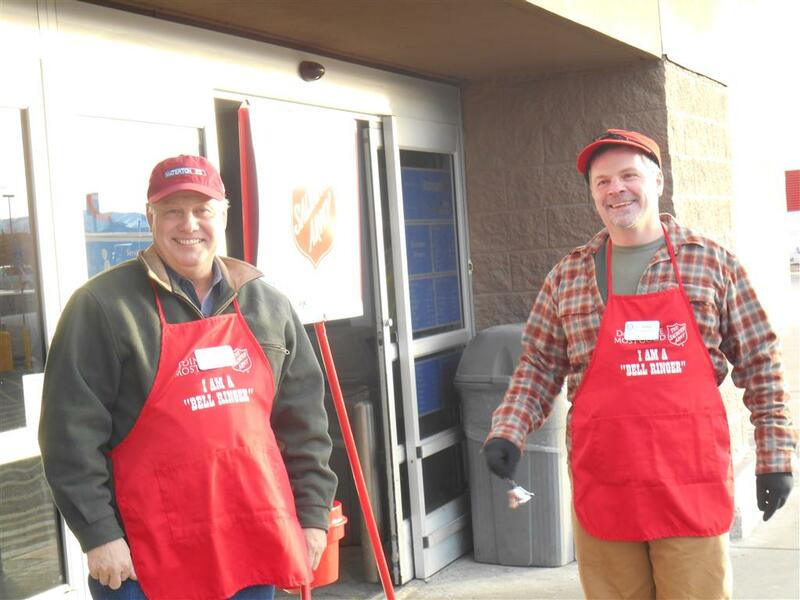 On Saturday Dec 14th, members of Sunrise Rotary participated in the first "Red Kettle Ring Off" for Salvation Army. 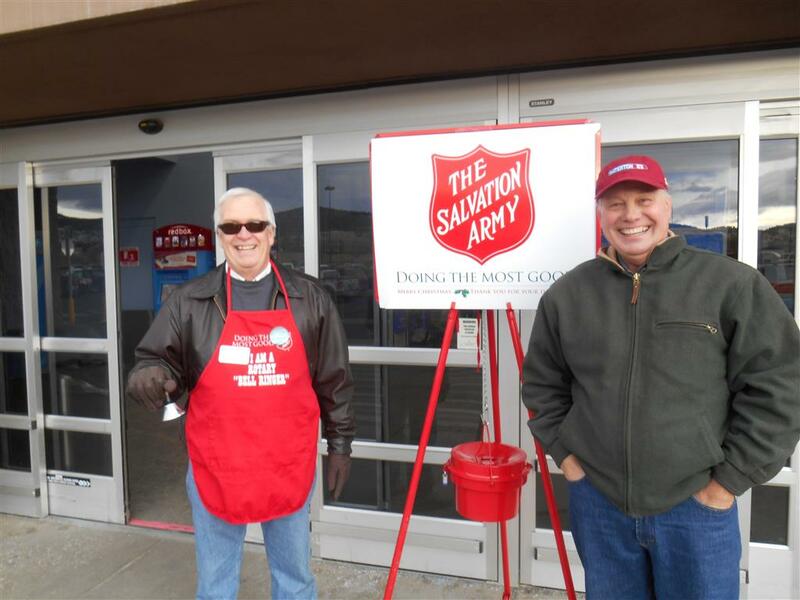 Local service clubs each adopted a location and set up shop to ring the day away as Bell Ringers rang to cushion the coffers of the Salvation Army. Sunrise Rotary made camp at the grocery entrance to Walmart and showed what a dedicated group can do by raising $1,201.13 !! Way to go! Thank you to the members who rang : Tony, Jock, Greg, Dewey, Brad and Barb, Marie, Roy, Gary W., Gary C. and Rob. Helena Sunrise Rotary held Trivia Nights on 10/24/13 and 11/14/13 at the Staggering Ox in Helena and proceeds were used to help two local charities: The Friendship Center and the Y.W.C.A. We raised $1500.00 on these two nights and will donate $360.00 to the YWCA, $600.00 to The Friendship Center, and the remaining funds will be used to help RYLA and Clothes for Kids, both Rotary Programs we have supported in the past. Thanks go out to all those Rotarians who helped, especially Marie Mullarkey and Janet Herold who organized the events, Catherine McKillips for taking pictures, Rick Moore, Gary Carlson and Belle Marie for being "runners" and helping to collect and tabulate scores, and Greg Duncan and Gary Williams for being Master of Ceremonies for the evenings. 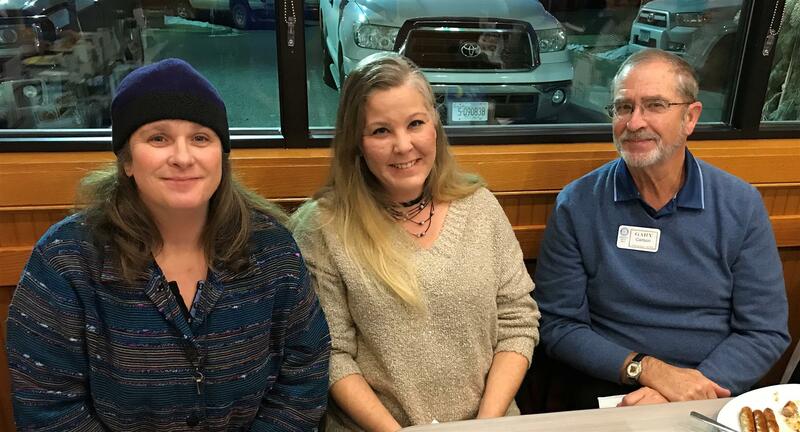 A fun evening was had by all who attended, and future Trivia Nights are scheduled for January, February and April to benefit The Salvation Army and other charities to be confirmed. A big thank you also goes out to the Staggering Ox for hosting the event and providing a venue at no cost to our club. See Photo Albums below for more pictures! 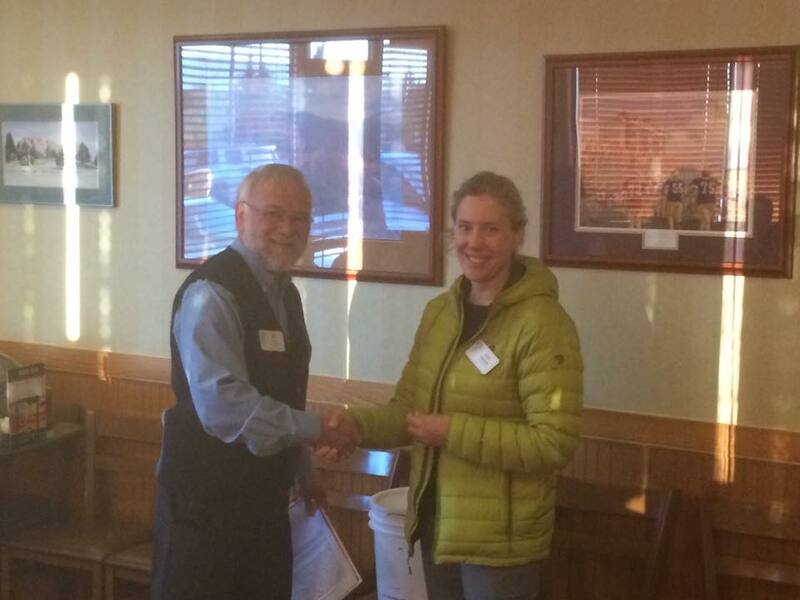 Helena Food Share was the recipient of a $500.00 gift from the Helena Sunrise Rotary Club. This donation was made possible by the fundraising efforts of the Rotary Club at a recent Dessert Auction and Social. Helena Industries benefits from fundraiser. Rotarians Marie Mullarkey and Brad Lancaster are shown presenting a check for $465.00 to Helena Industries Wally Melcher. The funds were raised during our first Trivia Night Fundraiser held at the Staggering Ox. Over 80 participants tested their skills at trivia and raised money for Helena Industries as well as the RYLA Camp (Rotary Youth Leadership Awards) and had a great evening of food and fellowship at the same time.